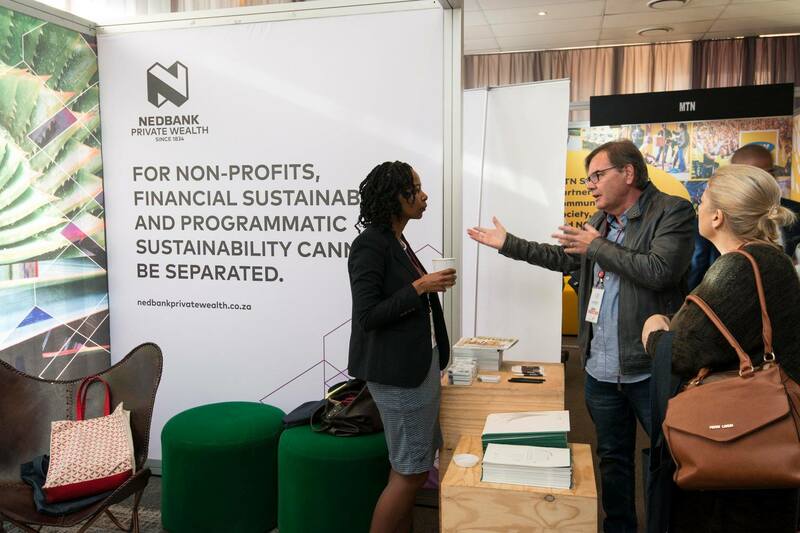 This industry-leading annual event promotes thought leadership, collaboration and innovation for more effective development, with emphasis on the integral role of business in society. 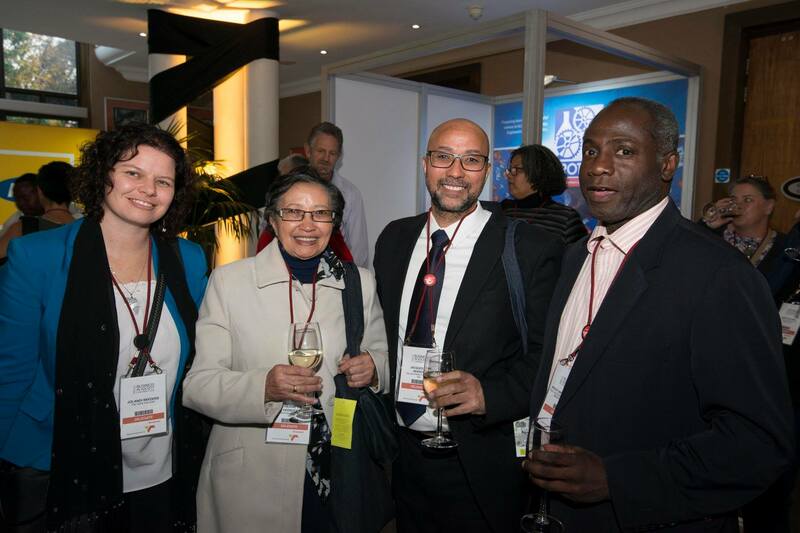 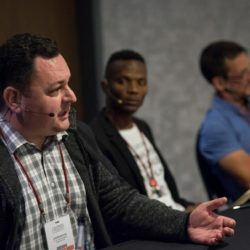 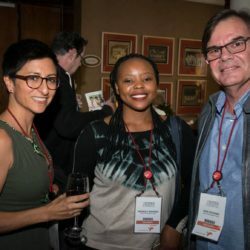 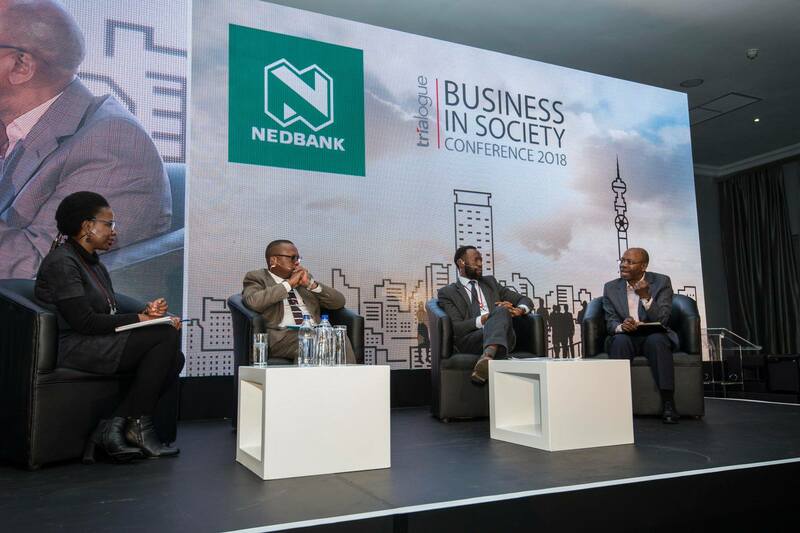 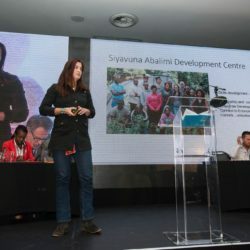 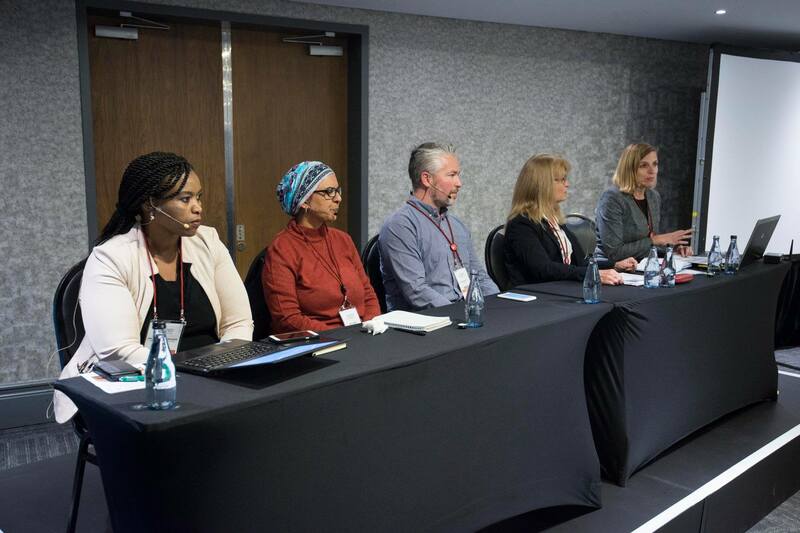 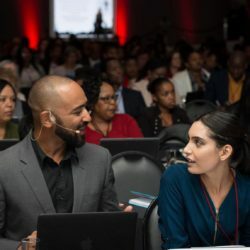 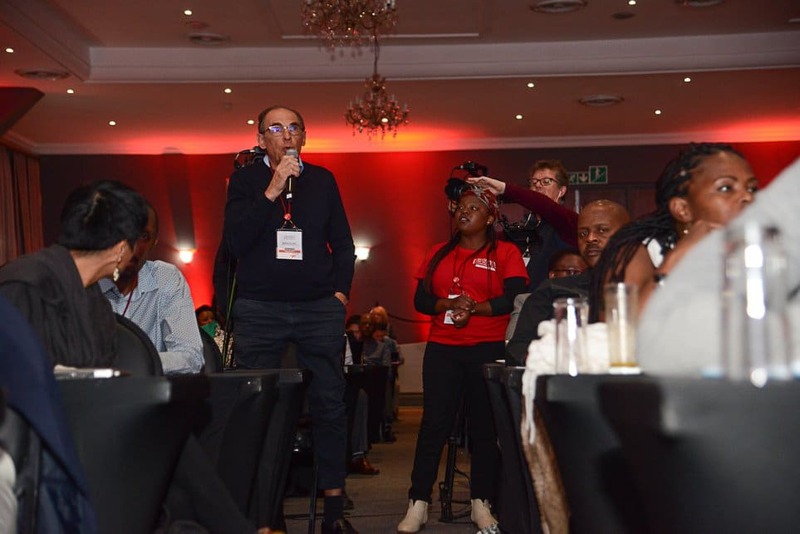 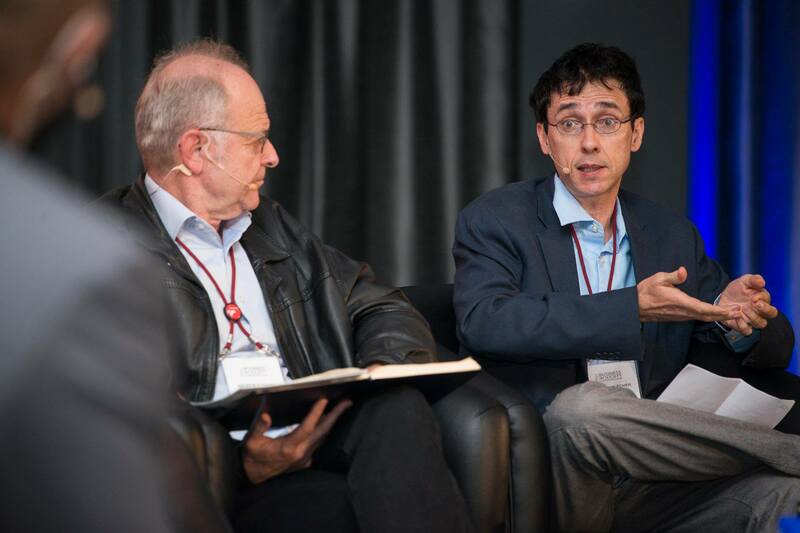 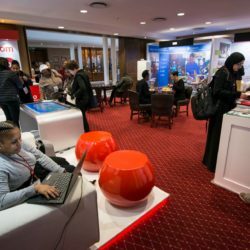 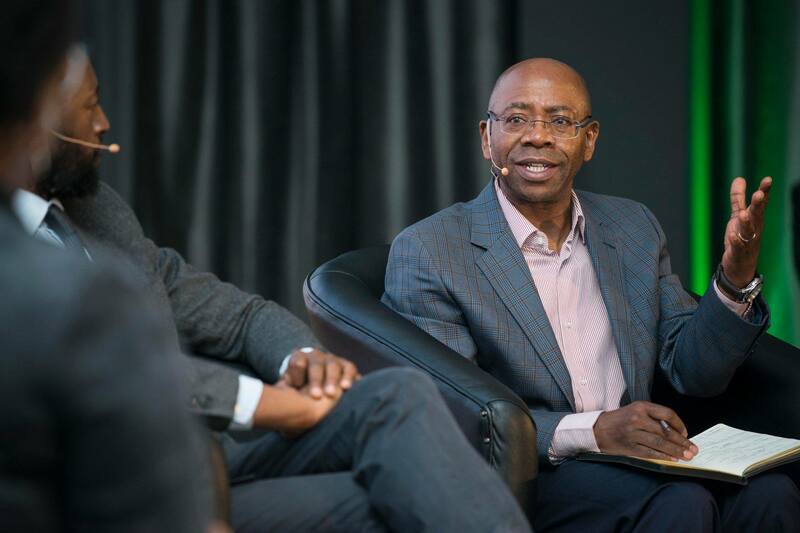 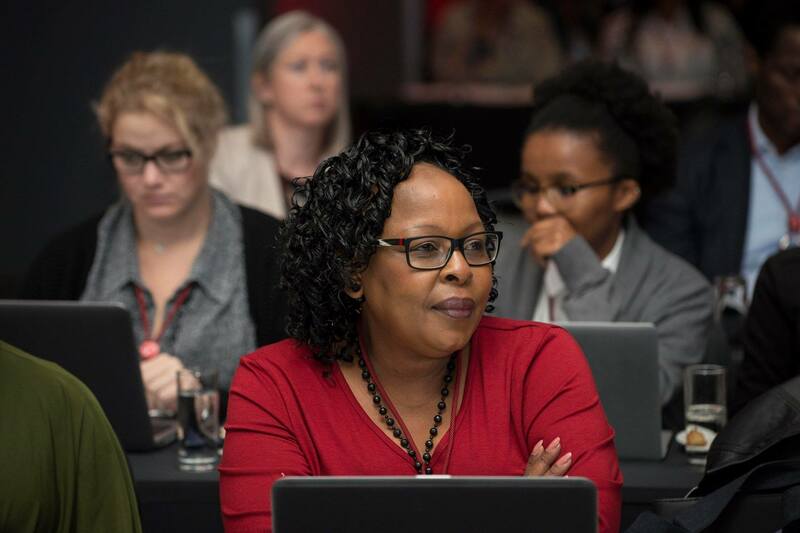 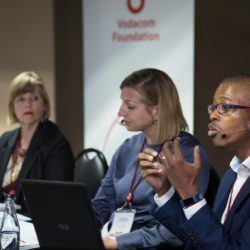 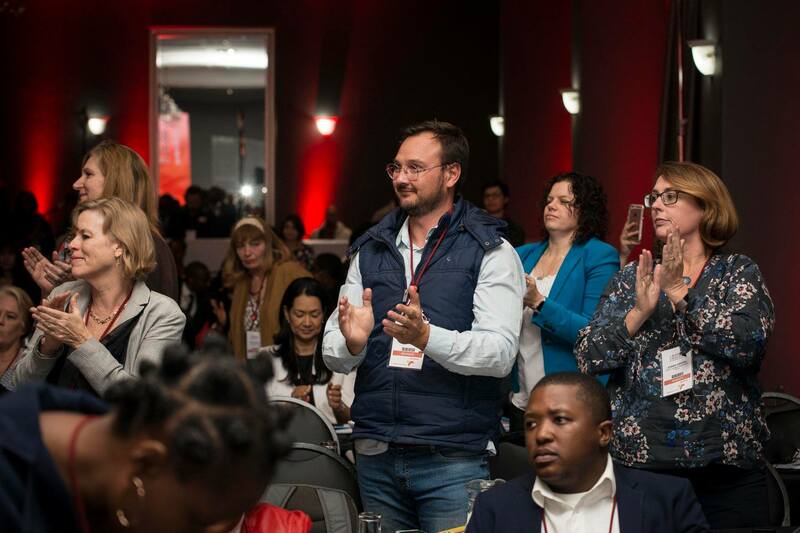 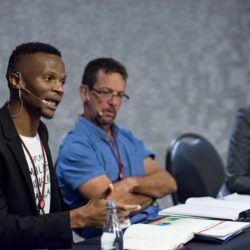 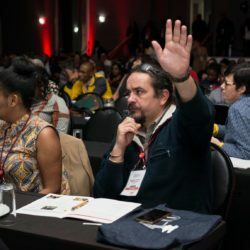 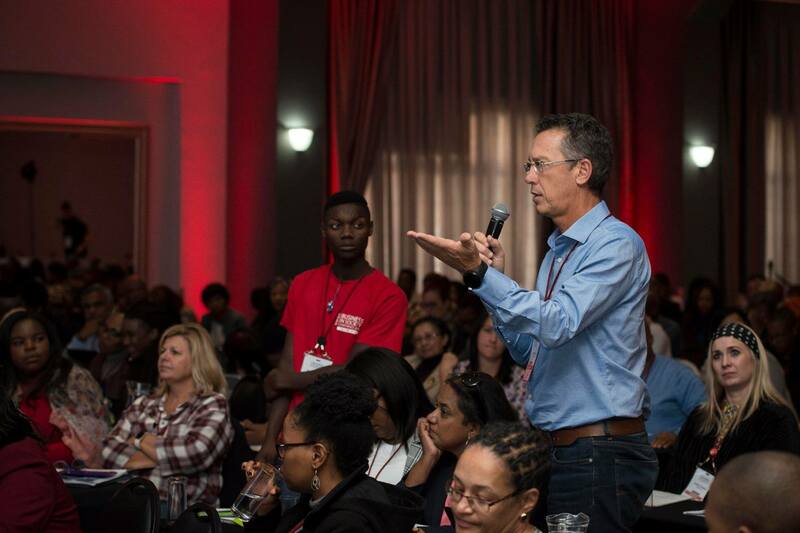 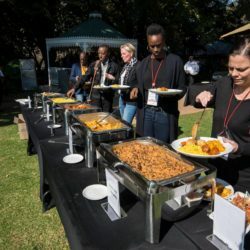 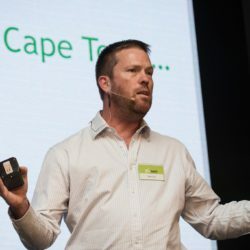 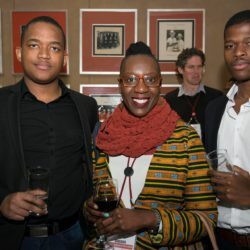 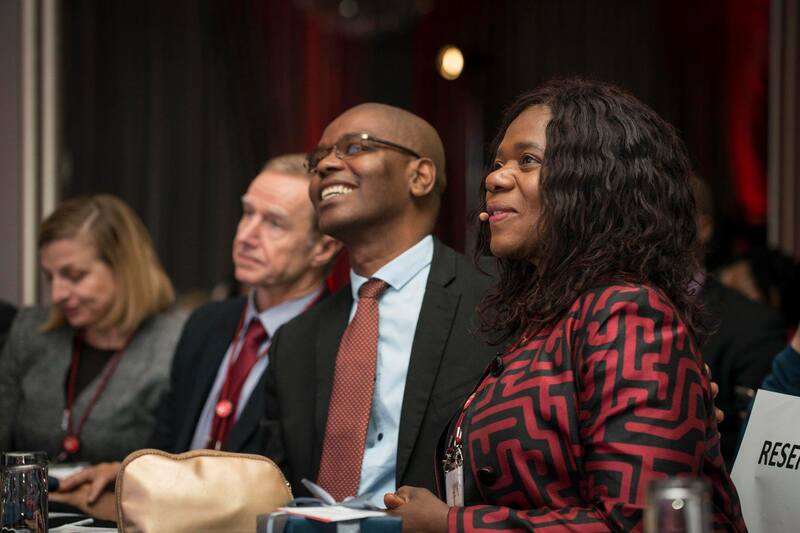 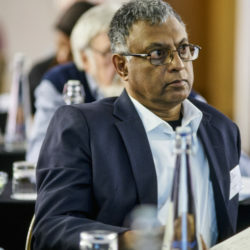 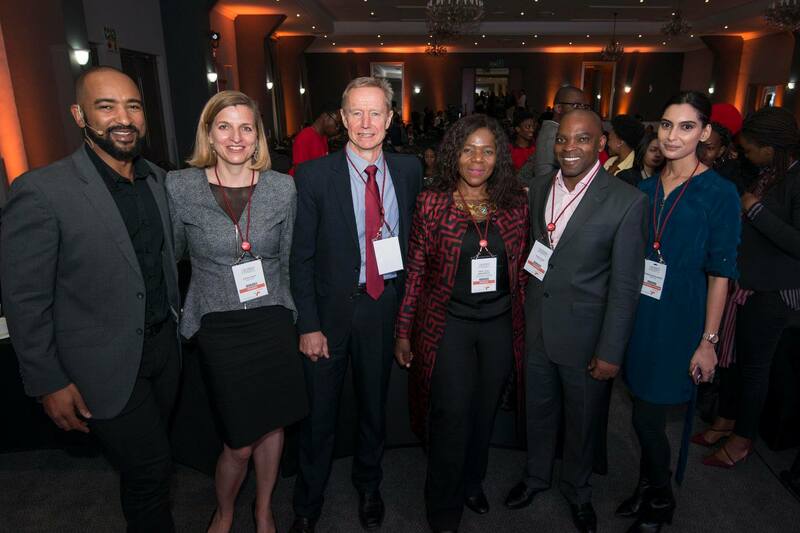 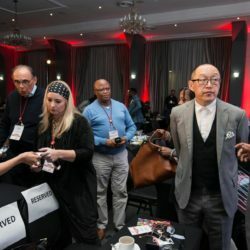 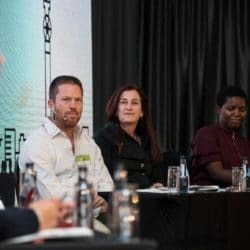 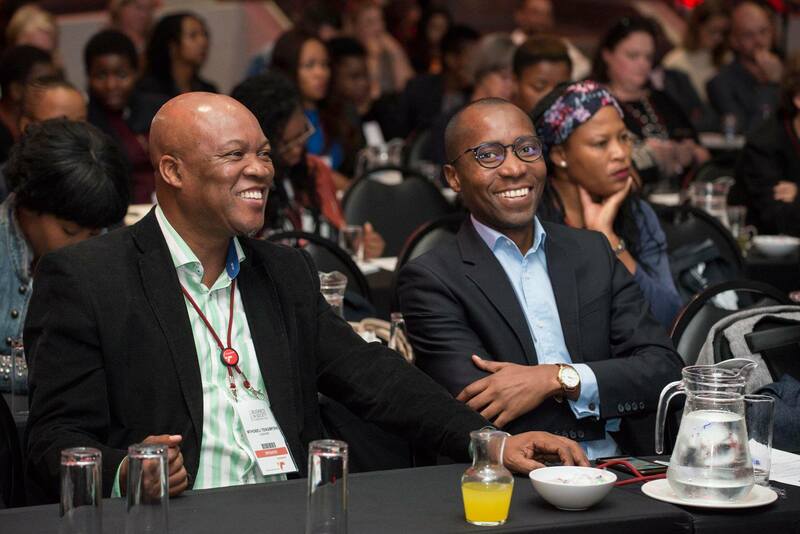 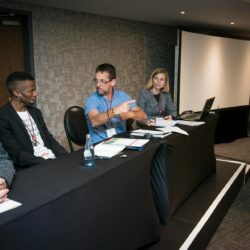 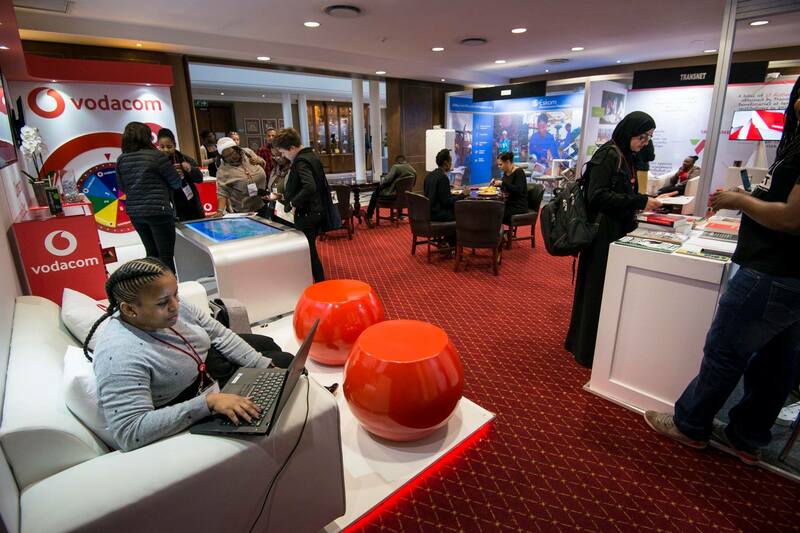 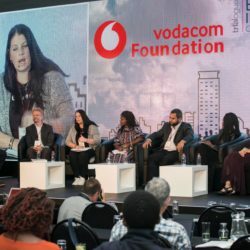 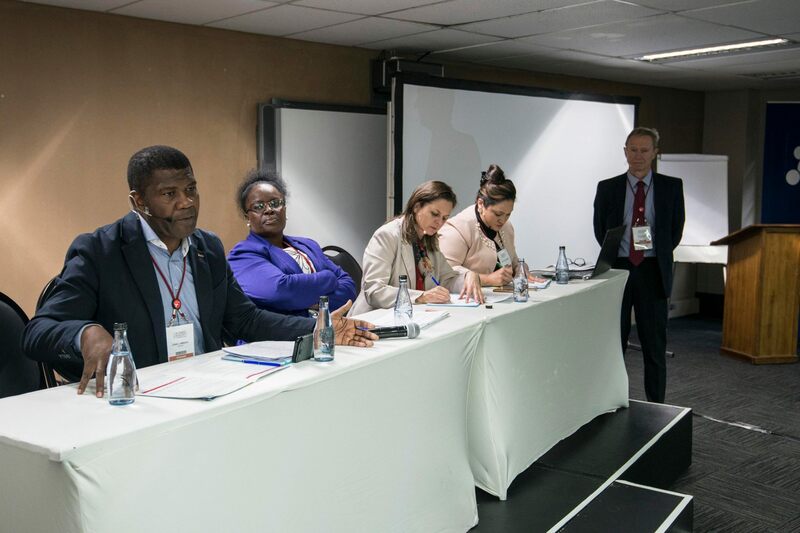 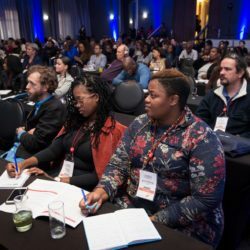 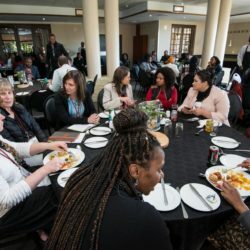 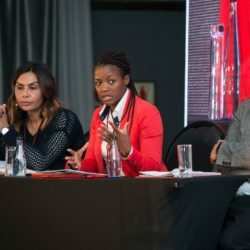 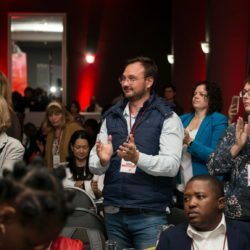 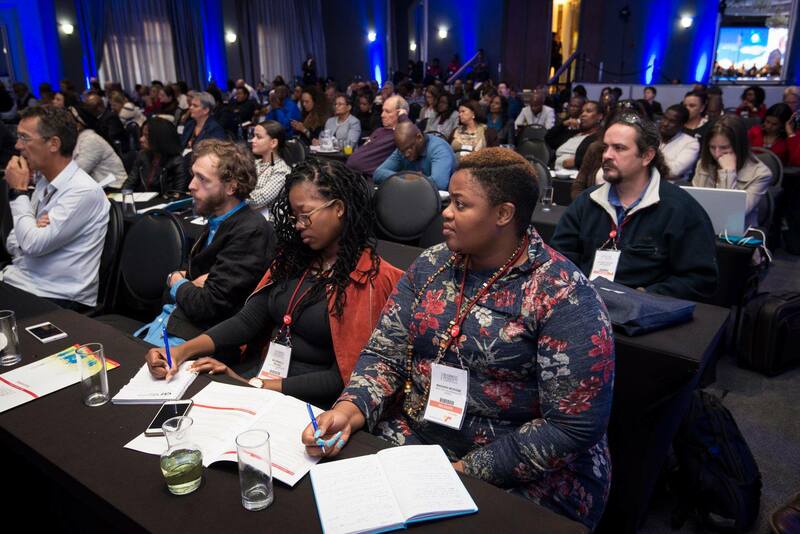 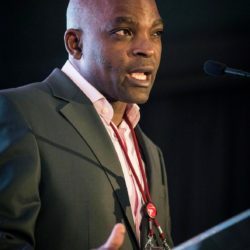 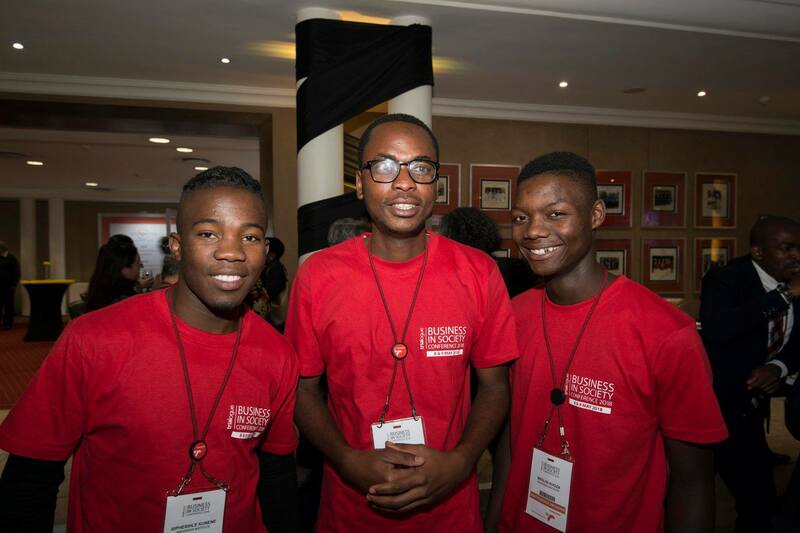 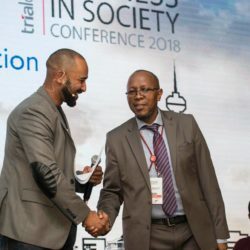 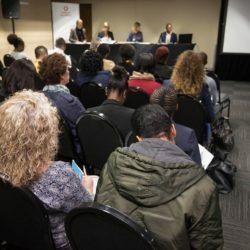 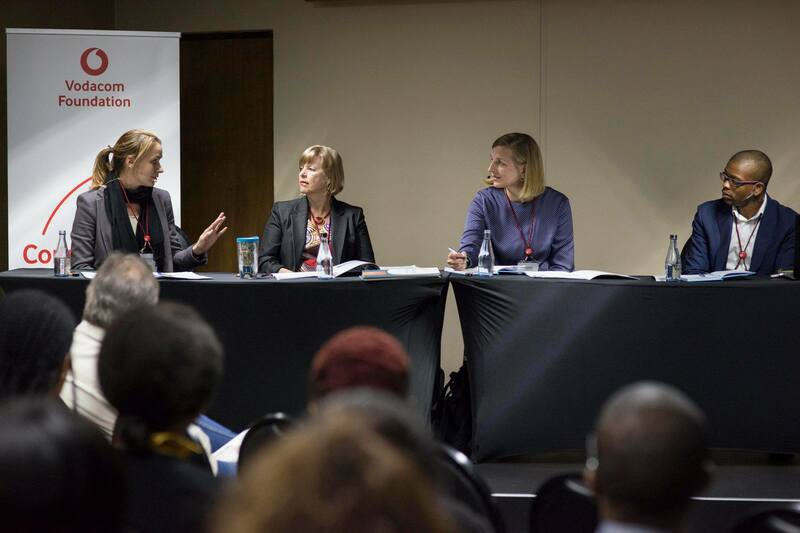 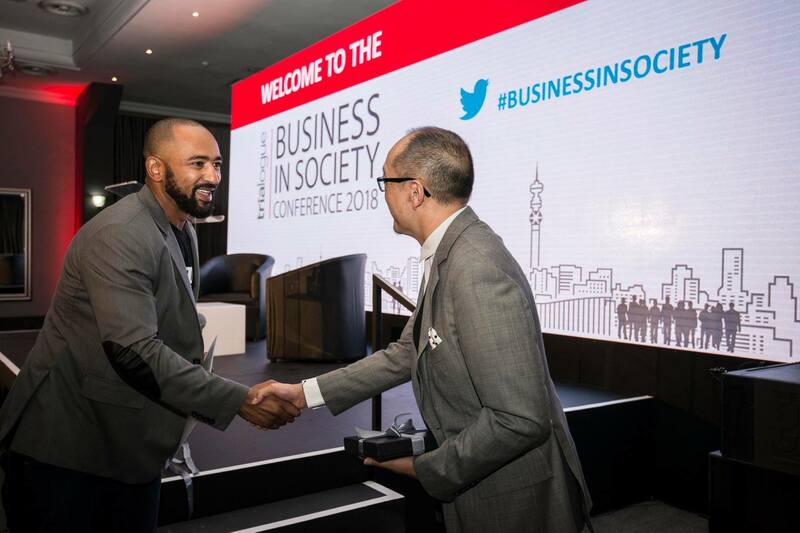 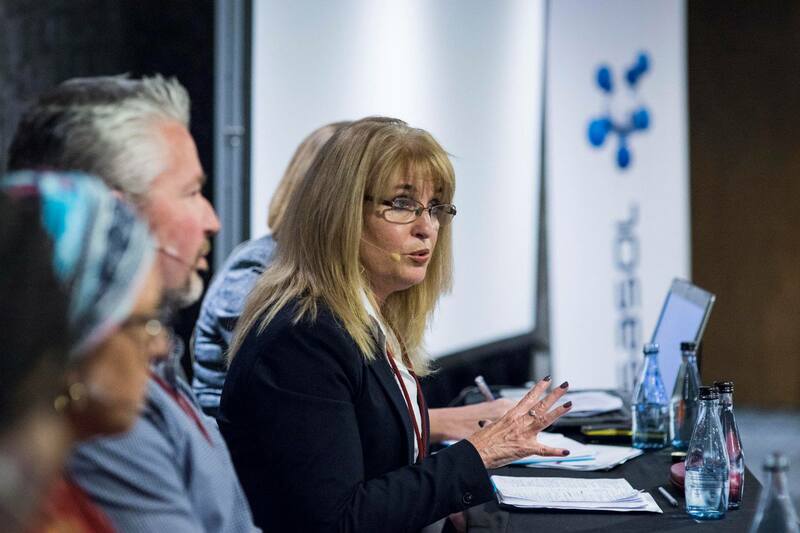 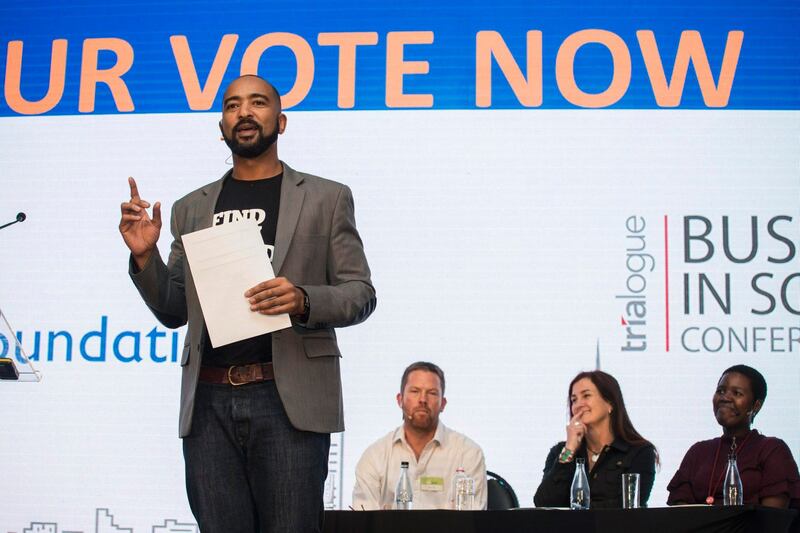 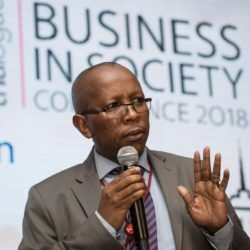 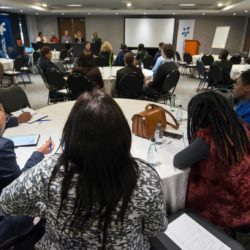 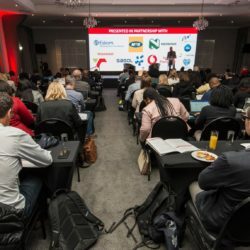 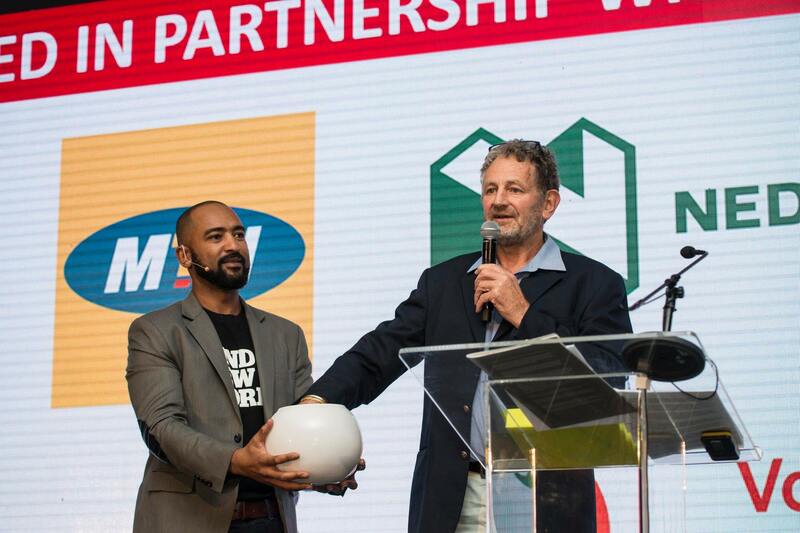 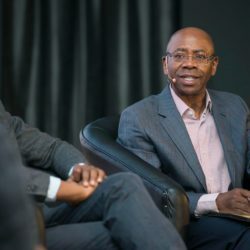 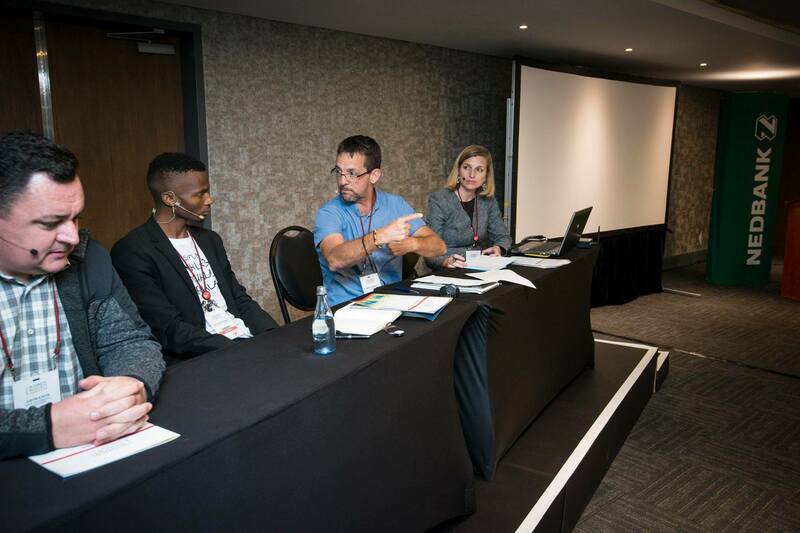 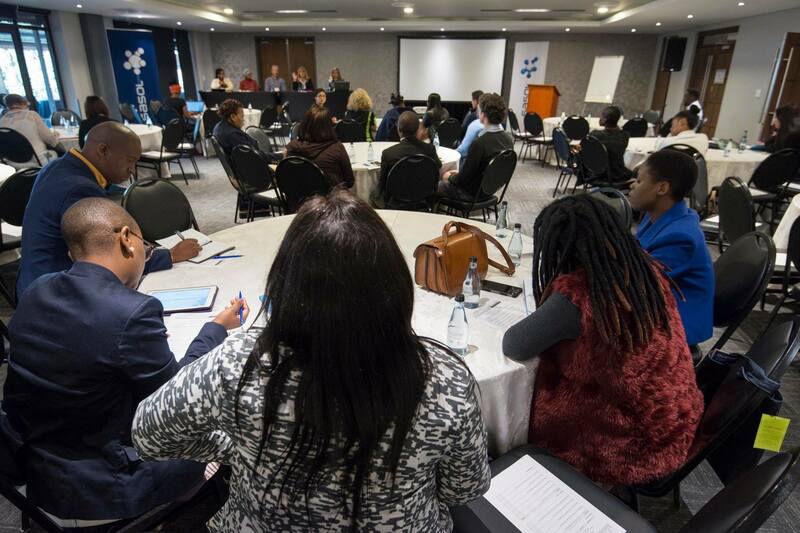 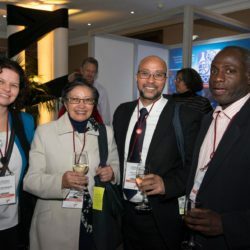 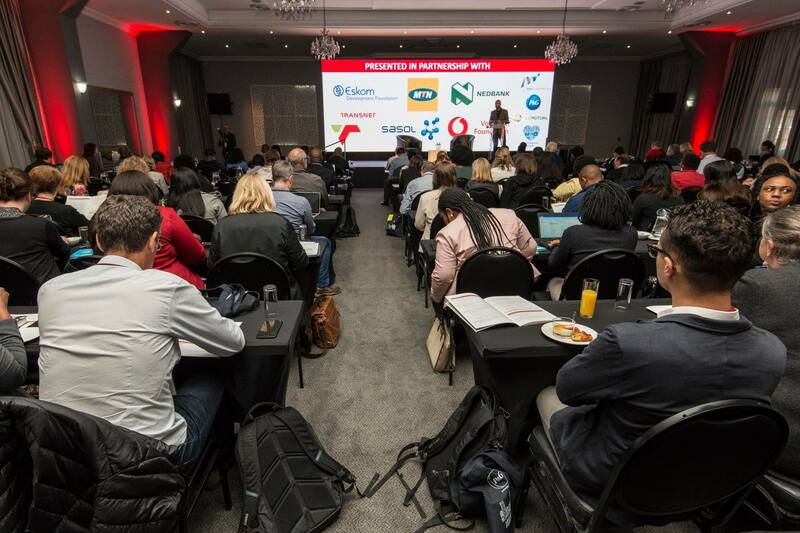 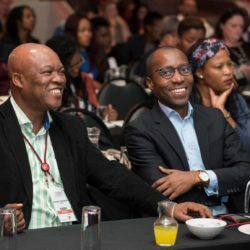 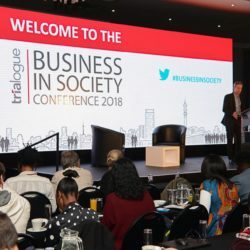 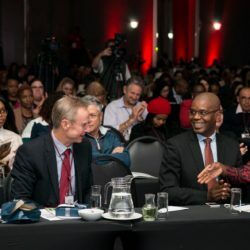 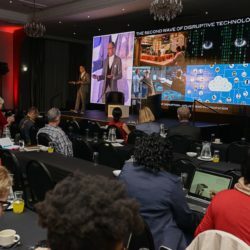 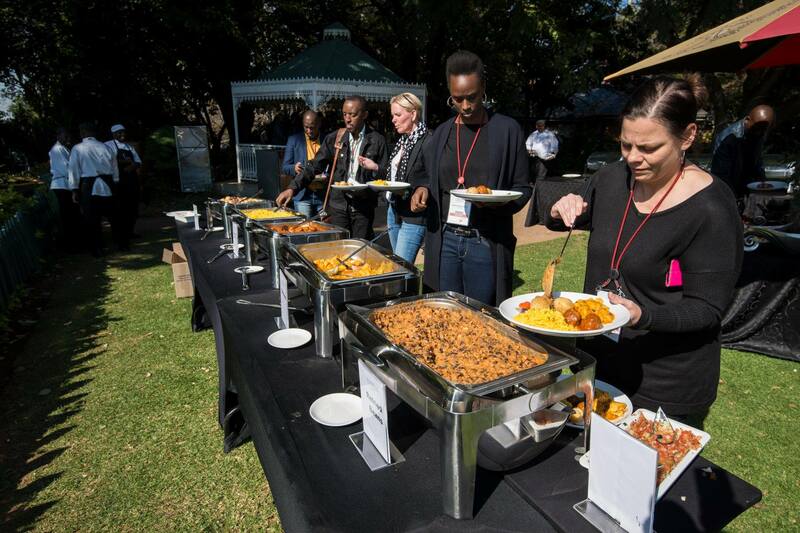 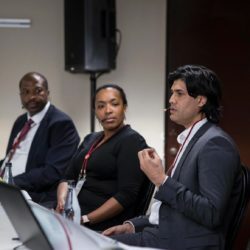 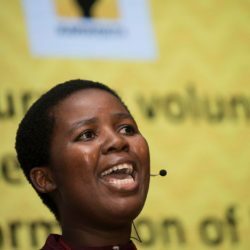 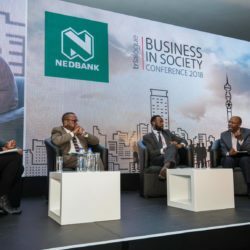 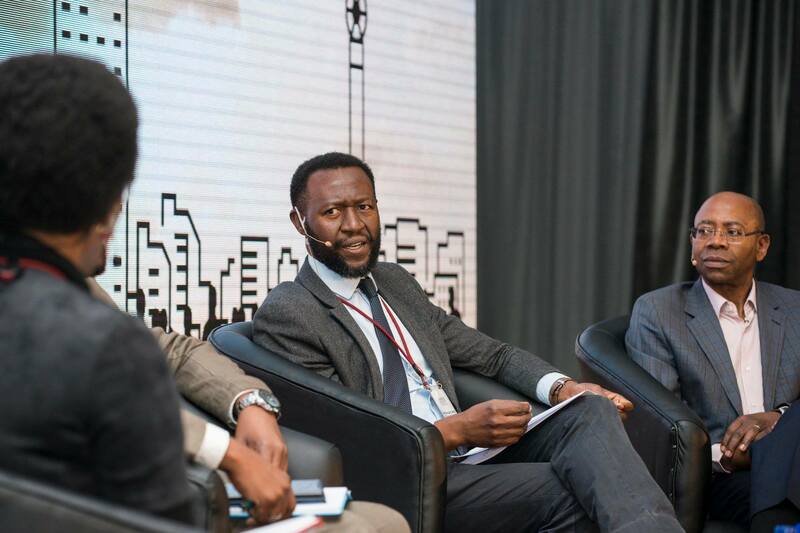 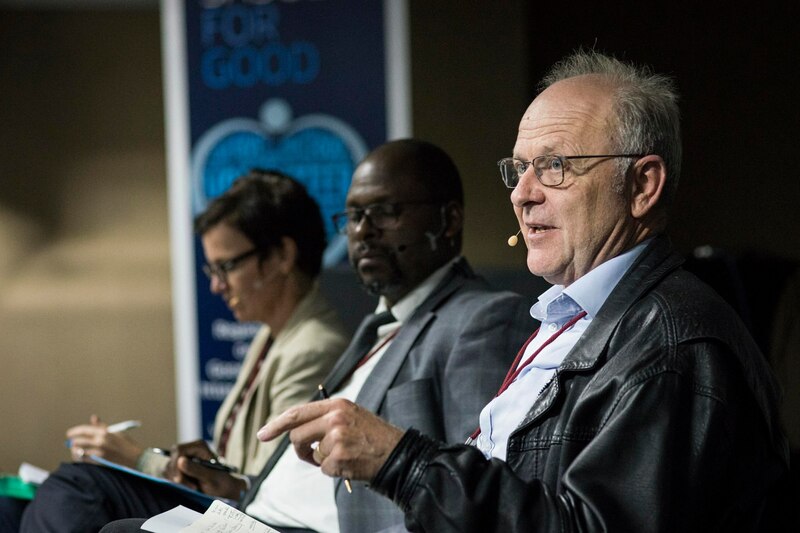 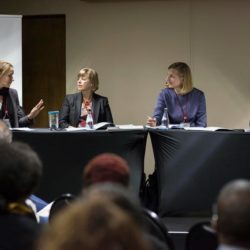 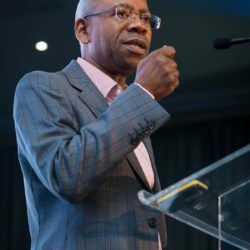 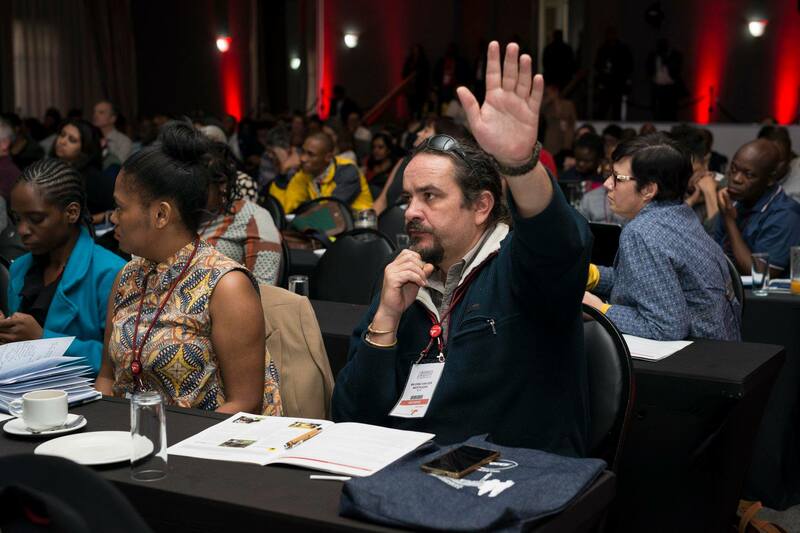 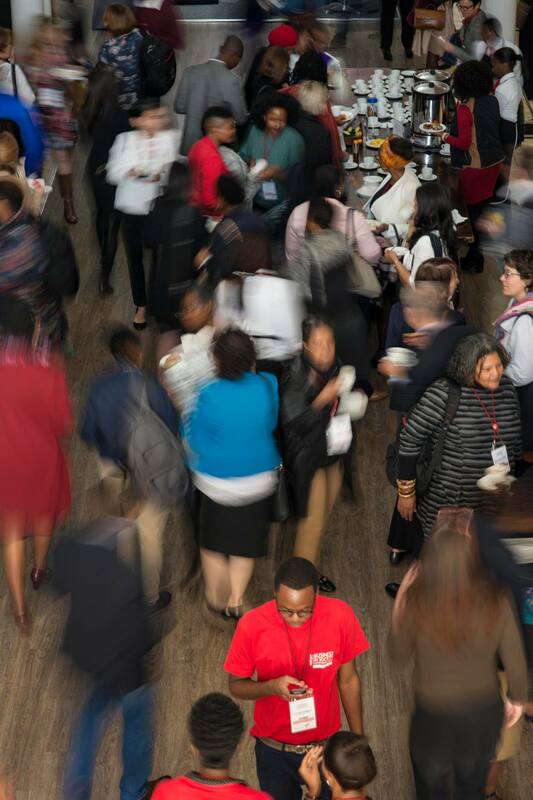 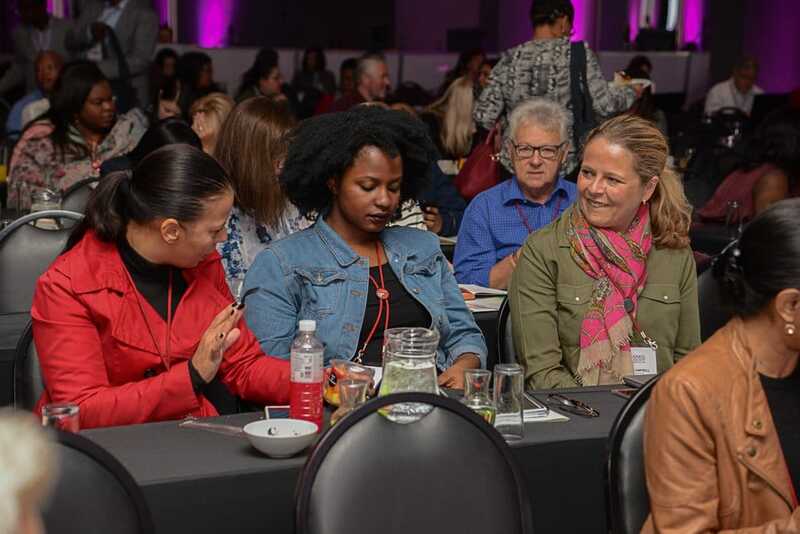 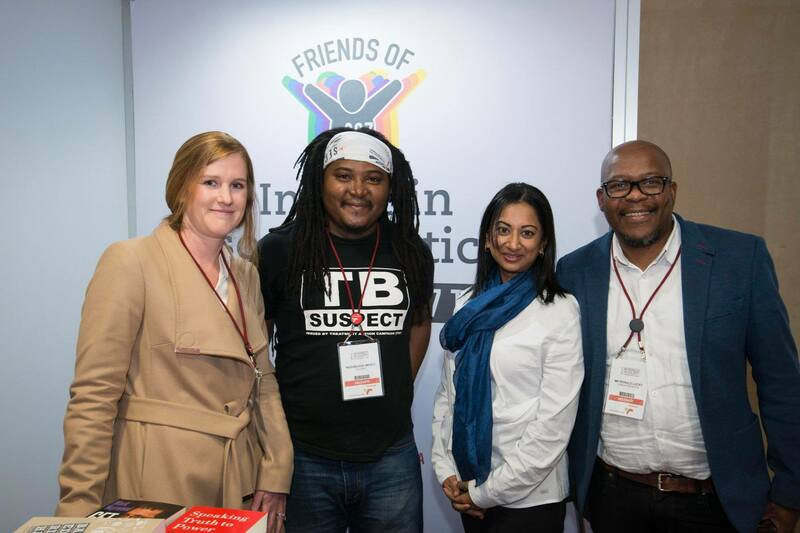 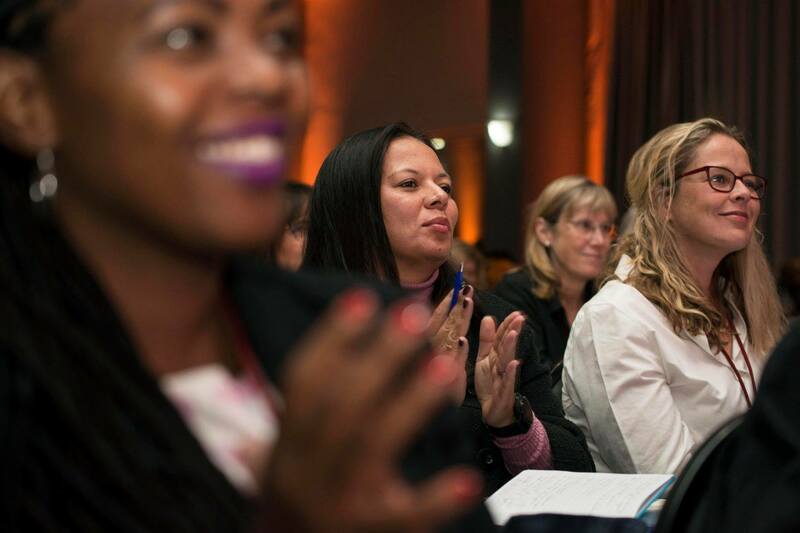 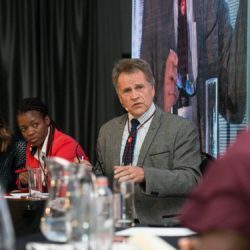 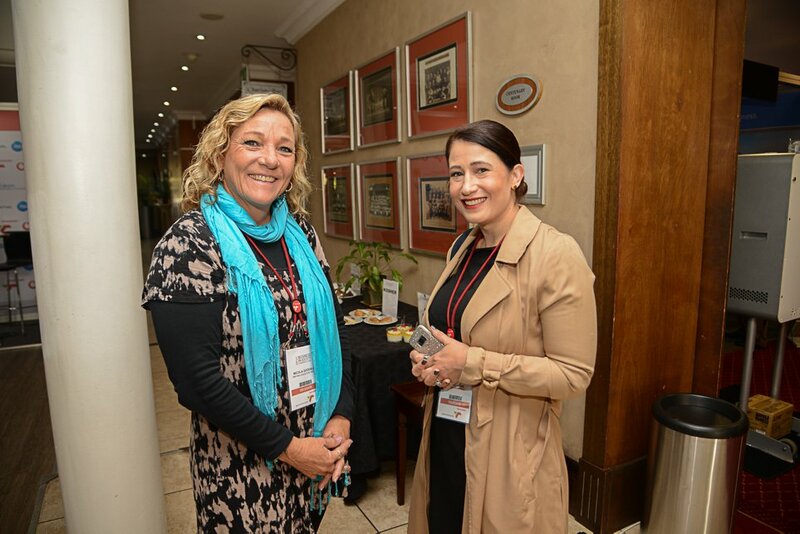 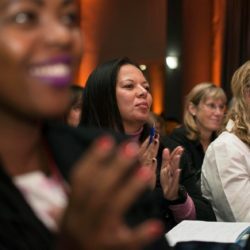 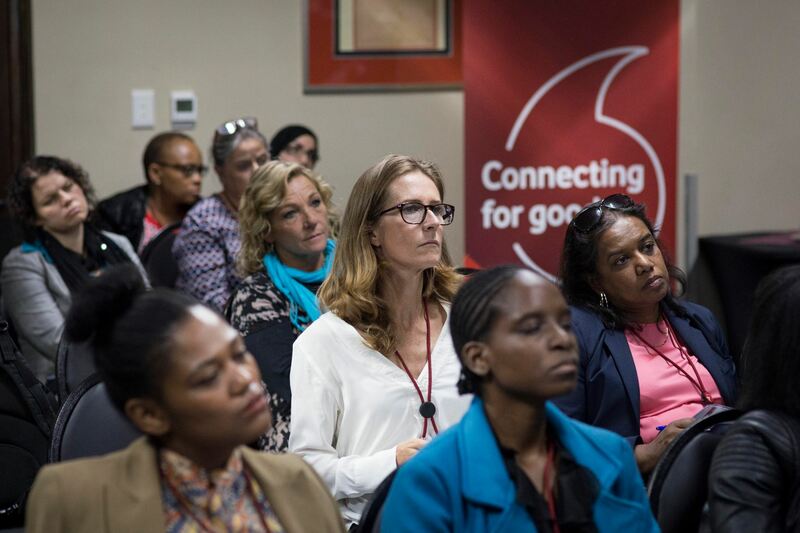 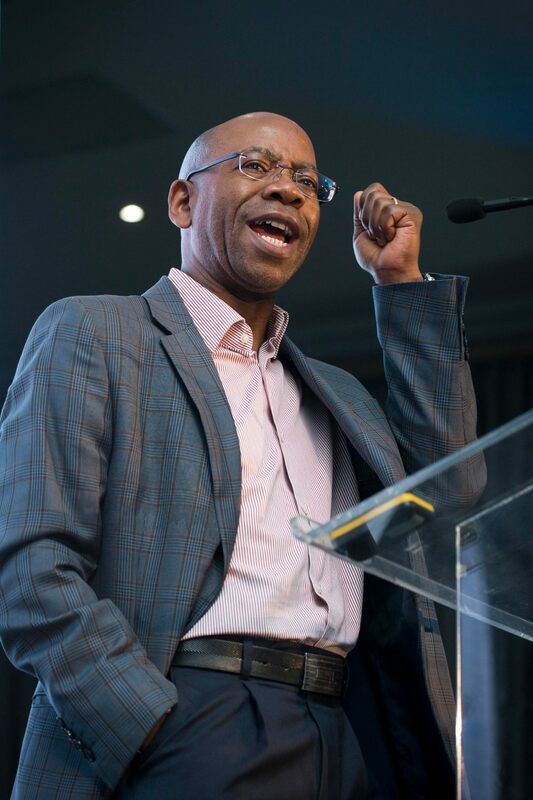 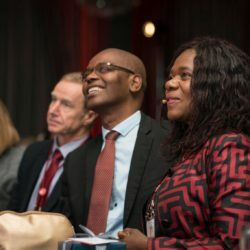 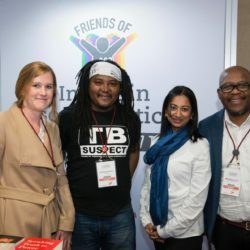 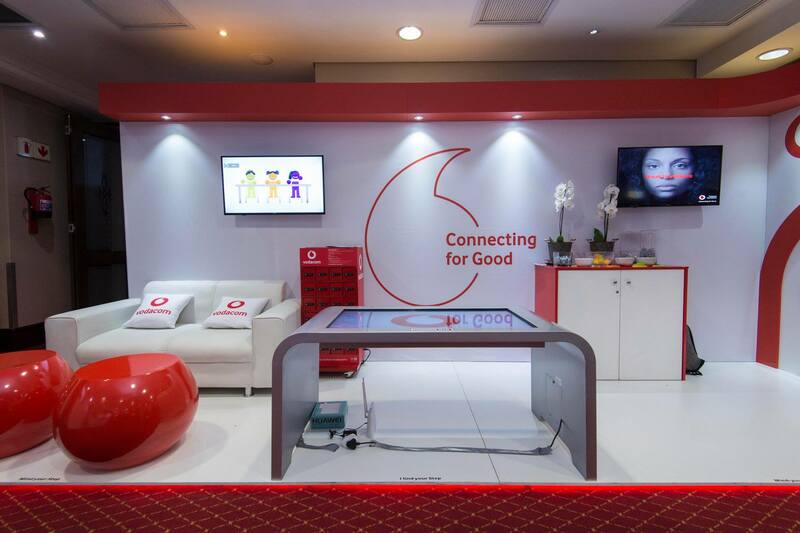 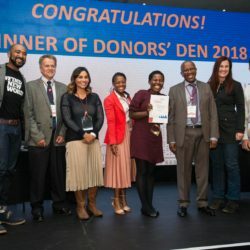 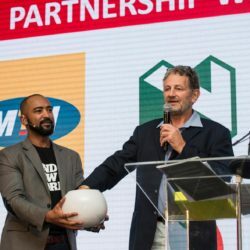 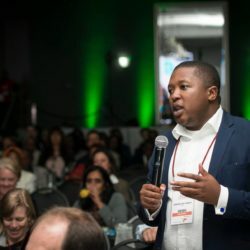 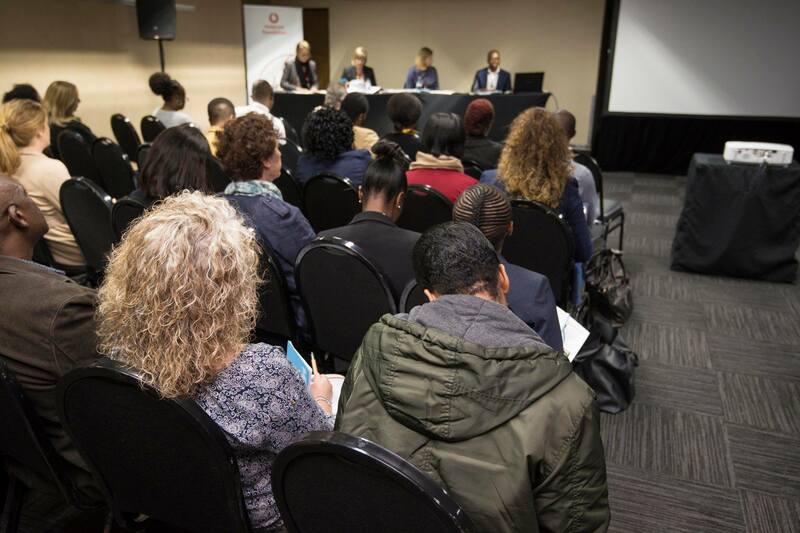 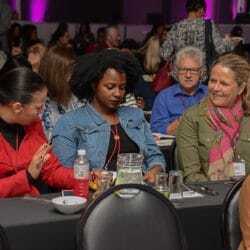 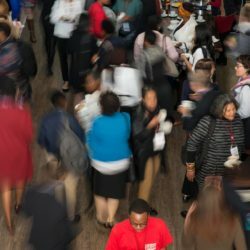 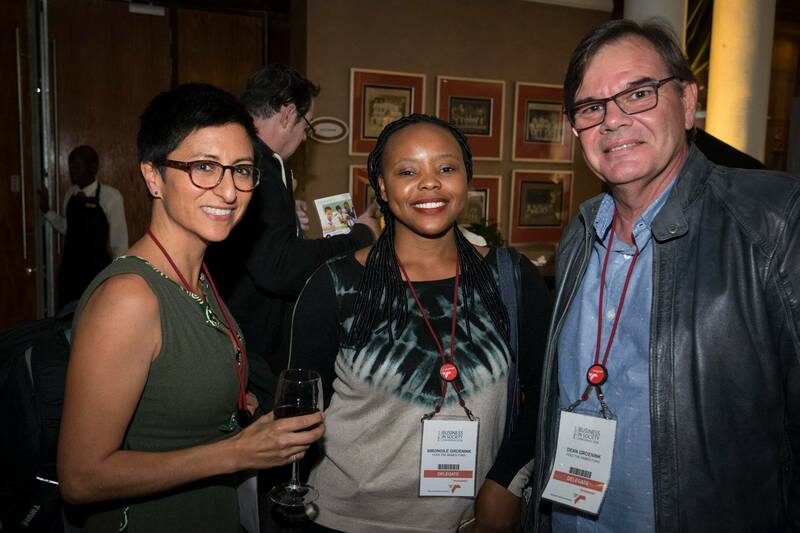 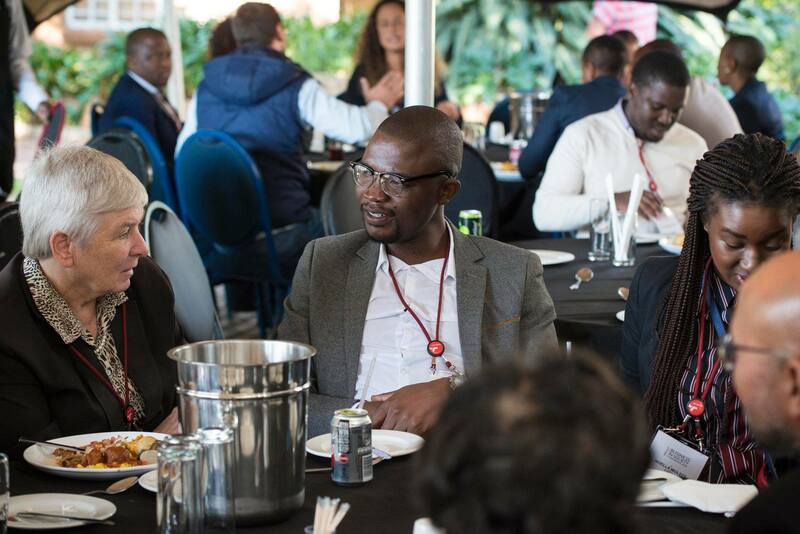 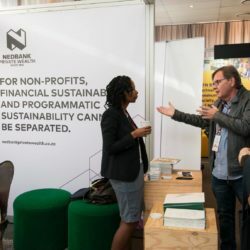 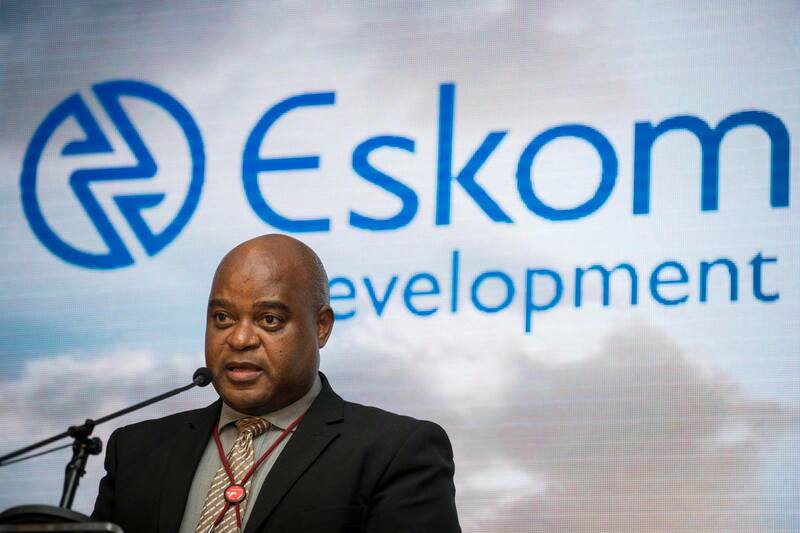 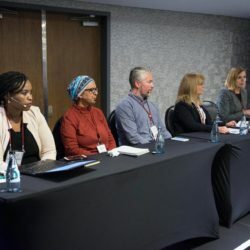 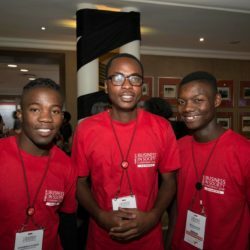 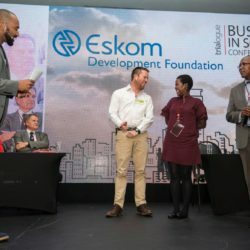 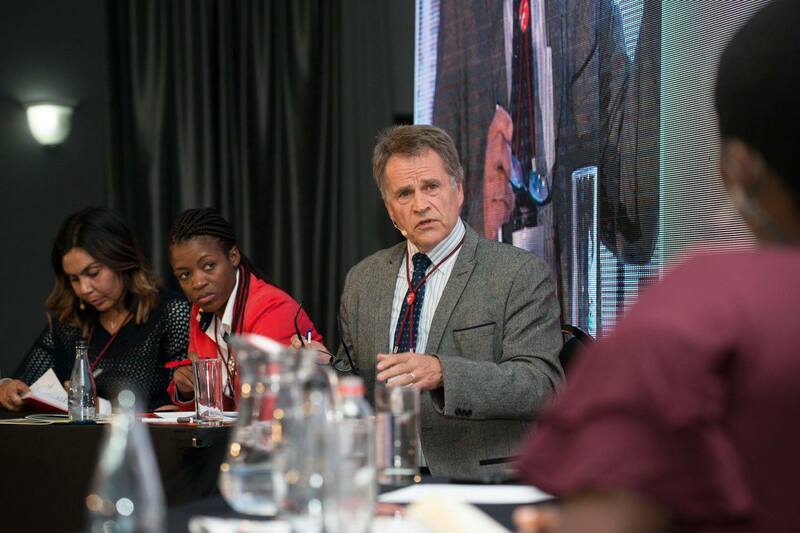 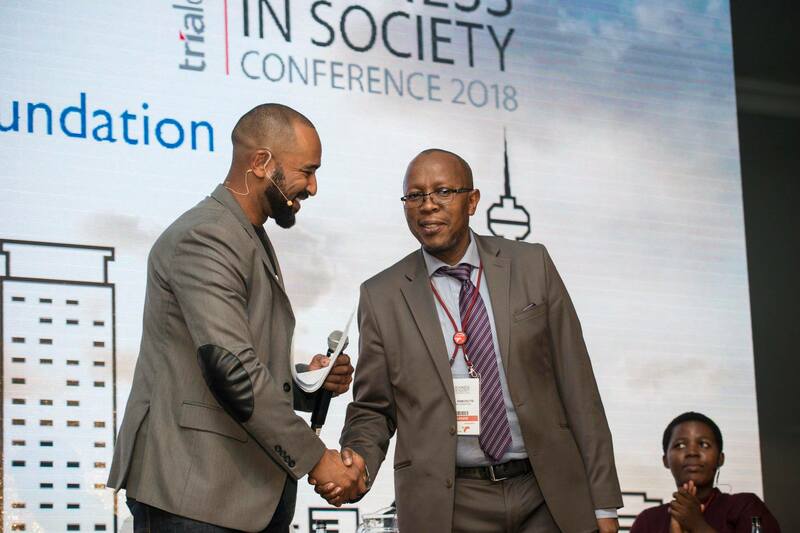 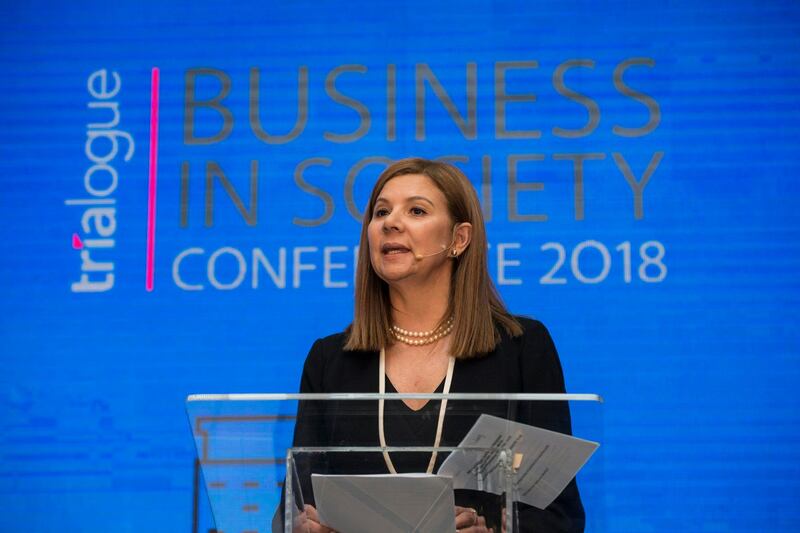 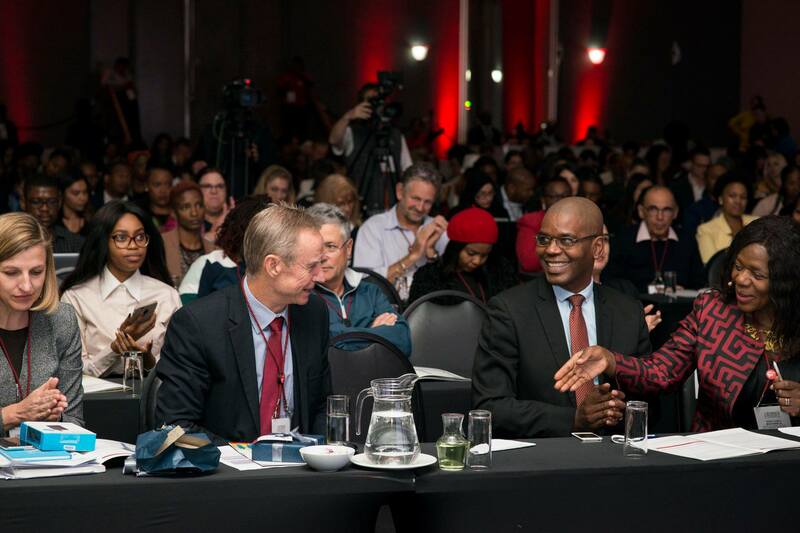 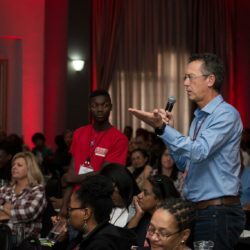 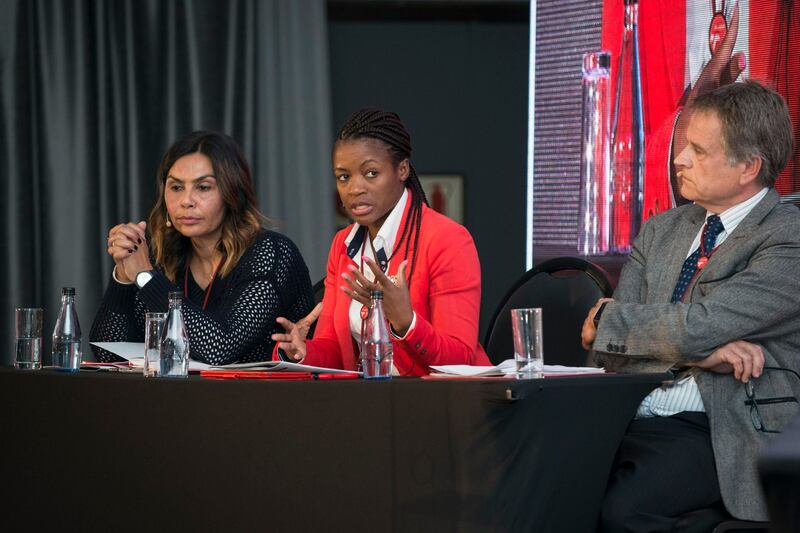 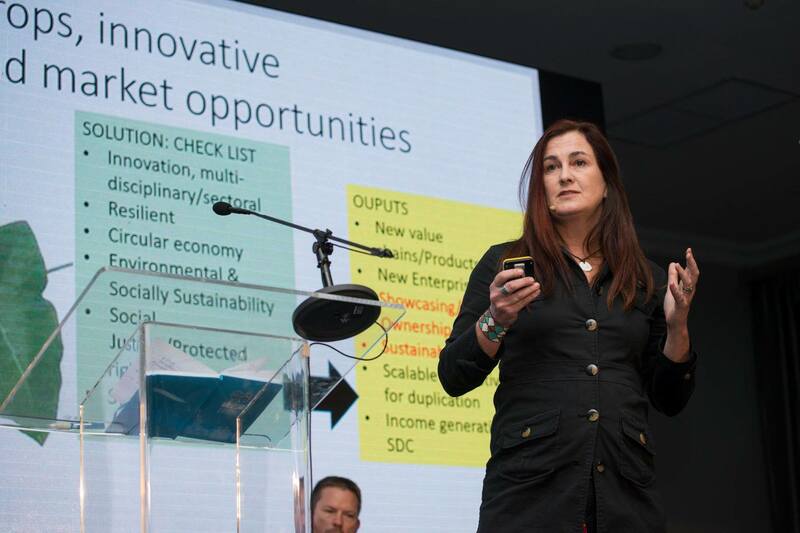 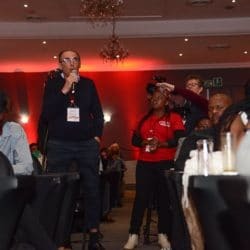 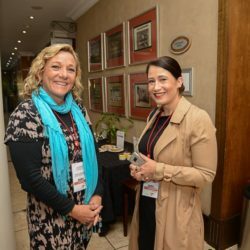 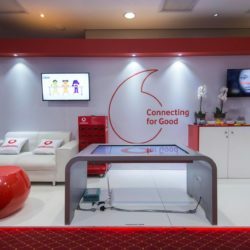 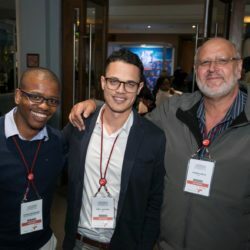 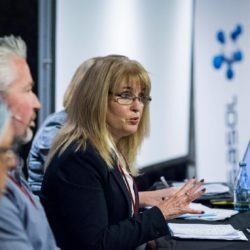 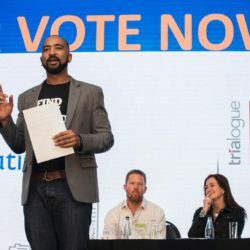 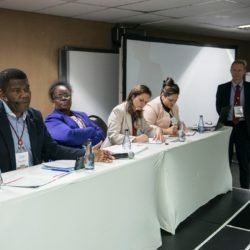 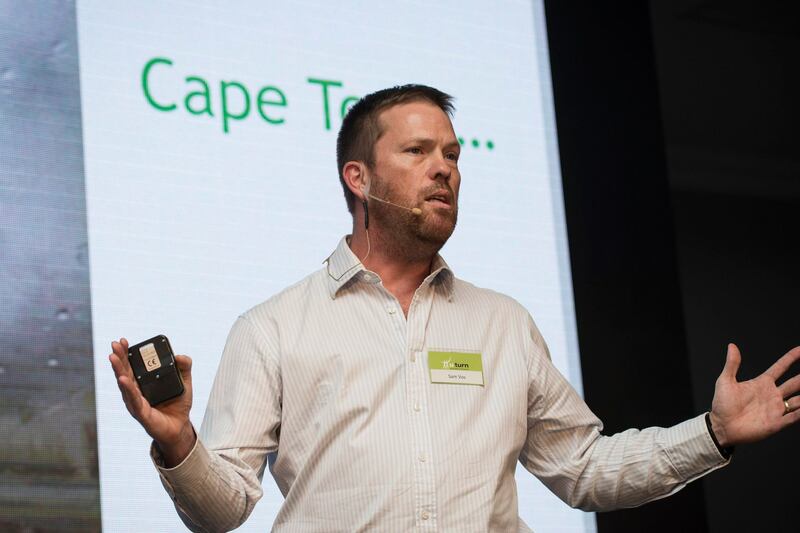 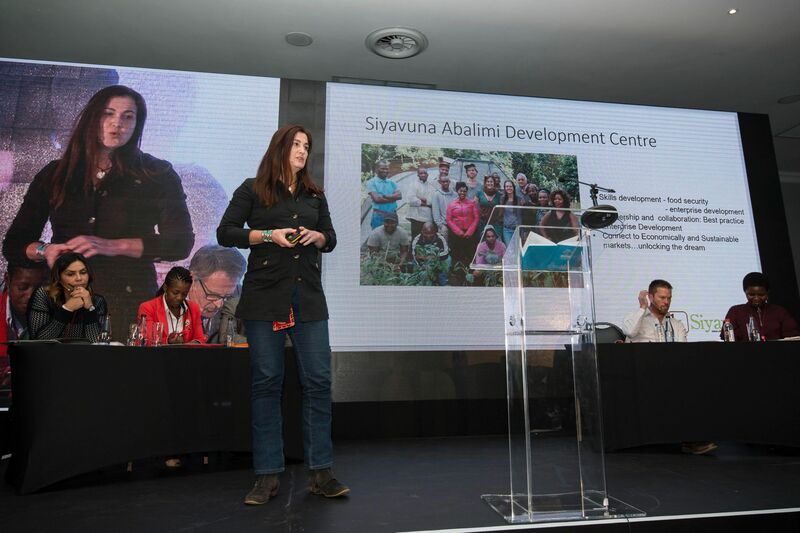 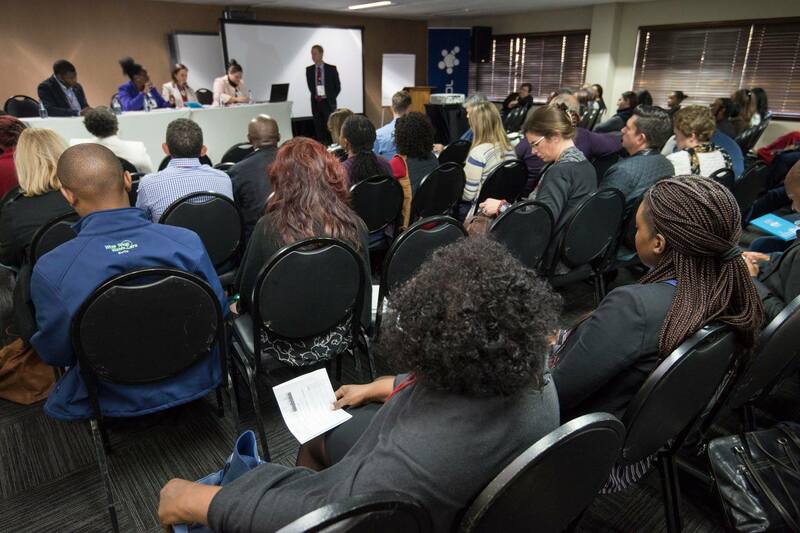 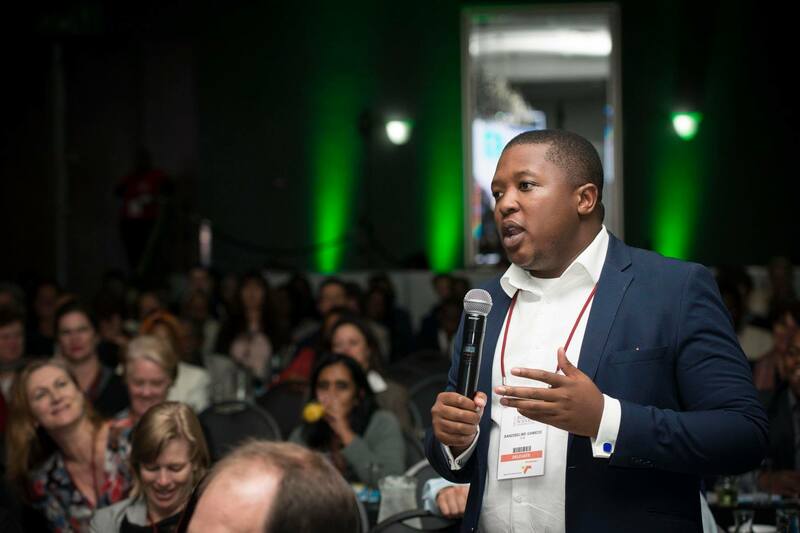 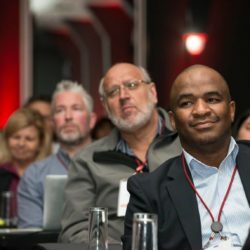 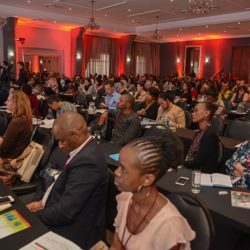 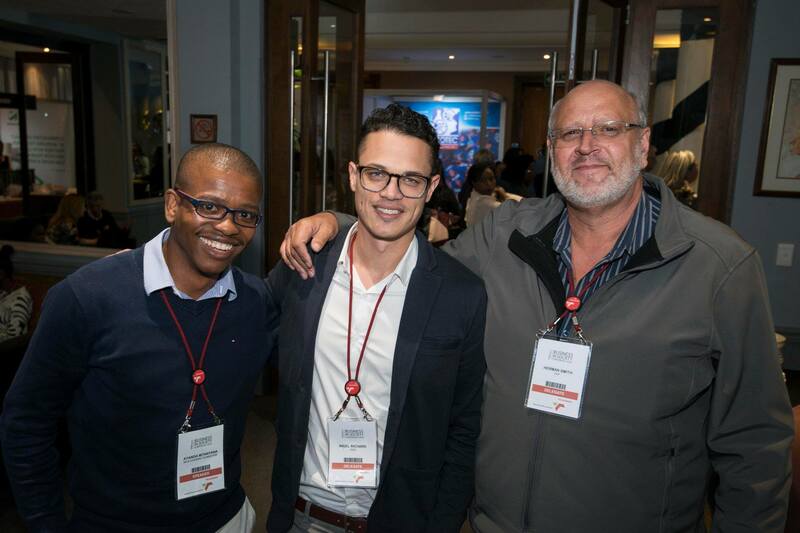 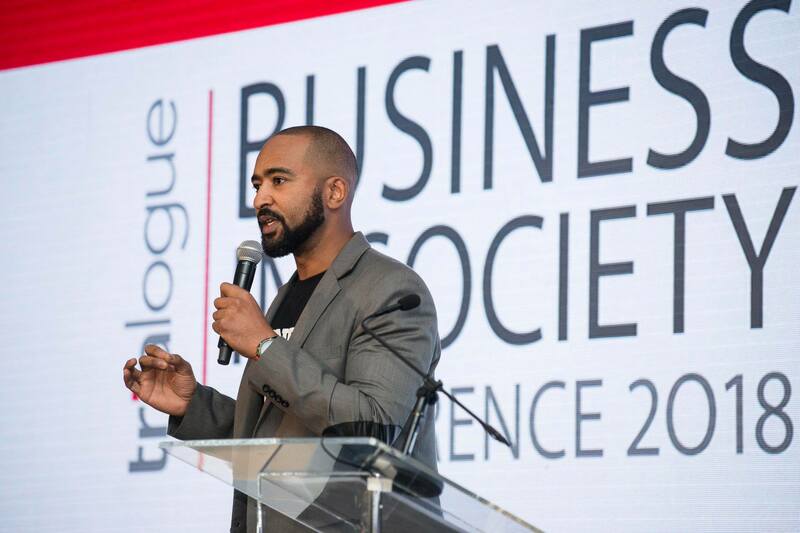 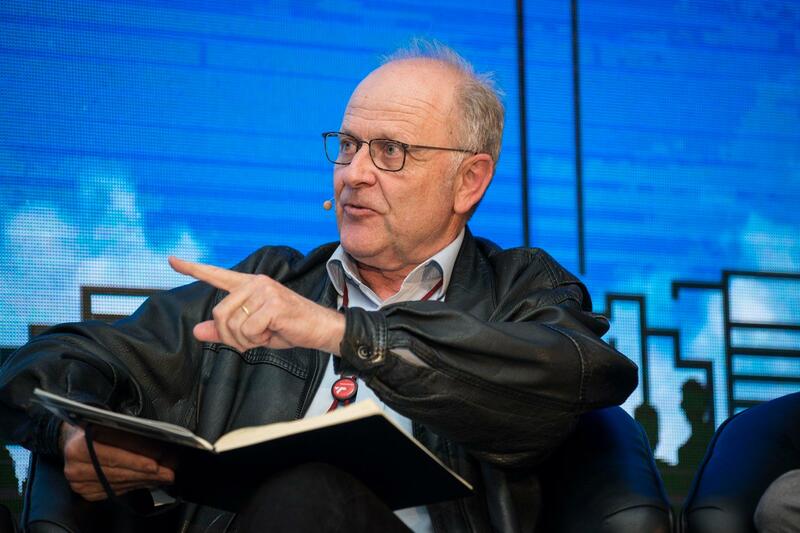 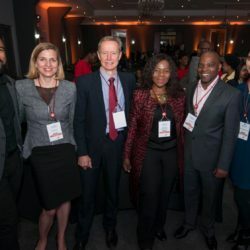 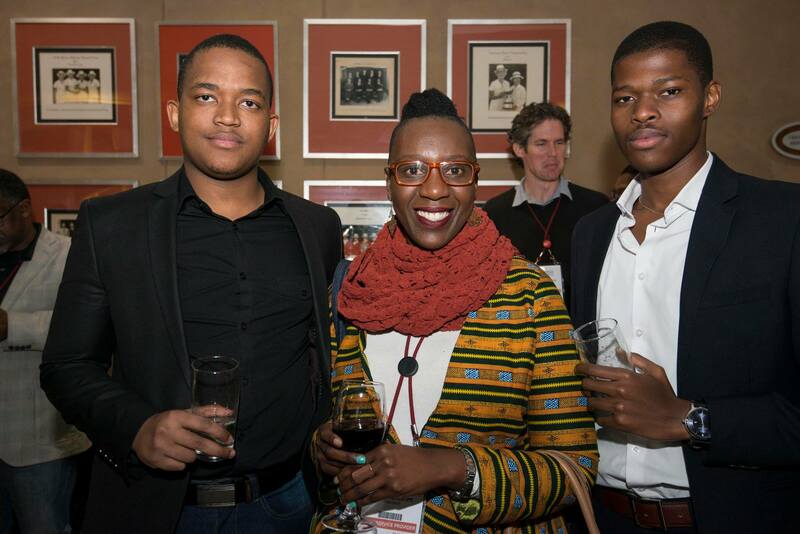 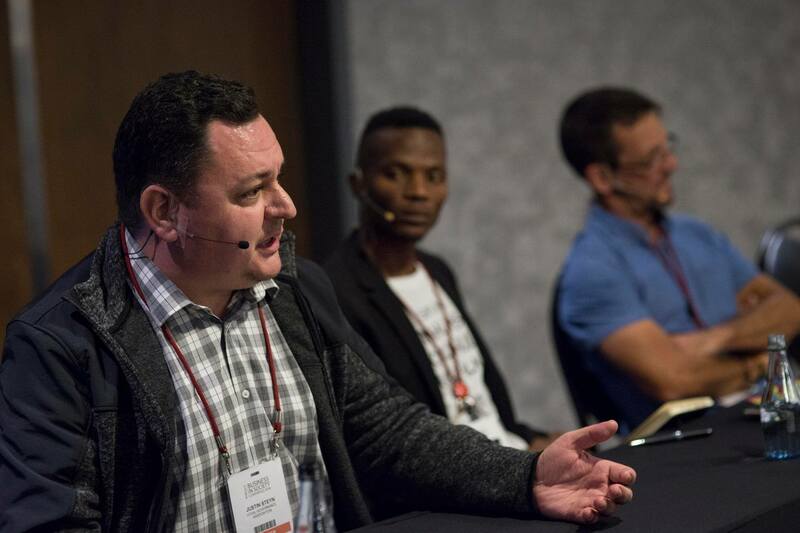 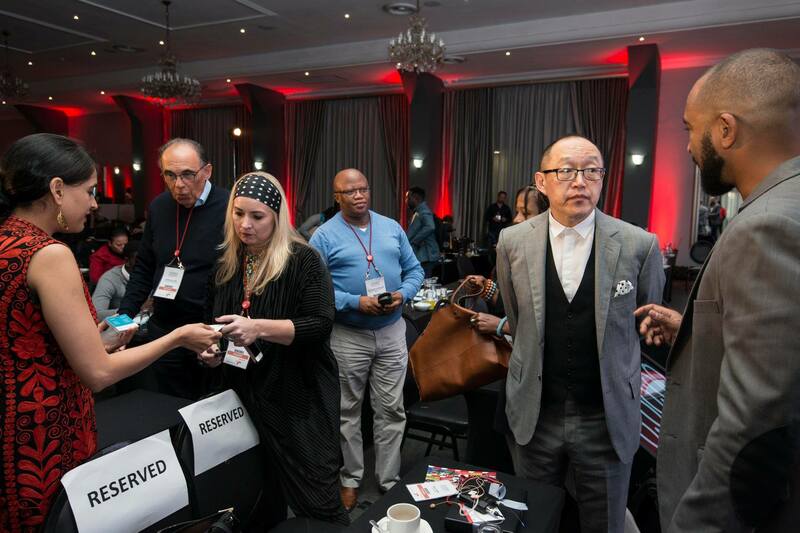 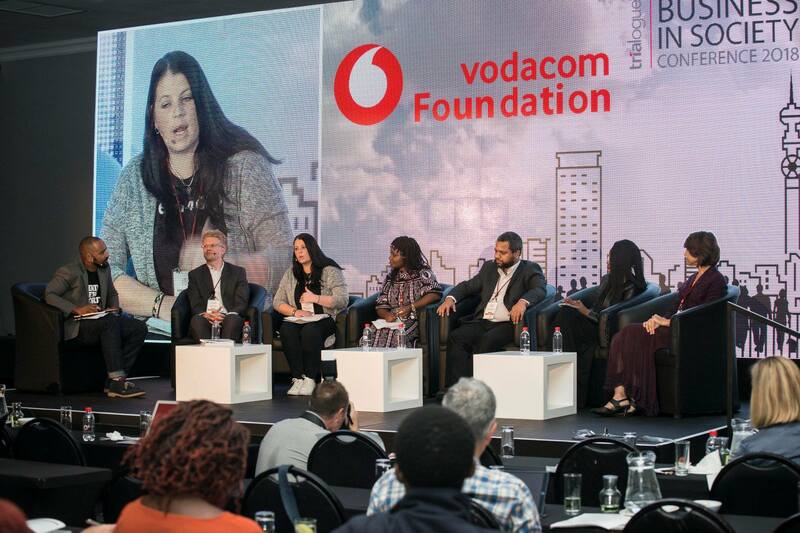 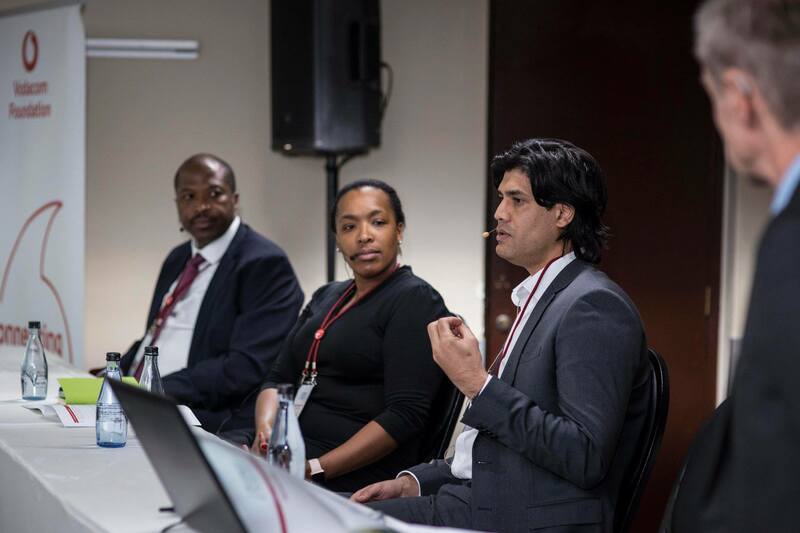 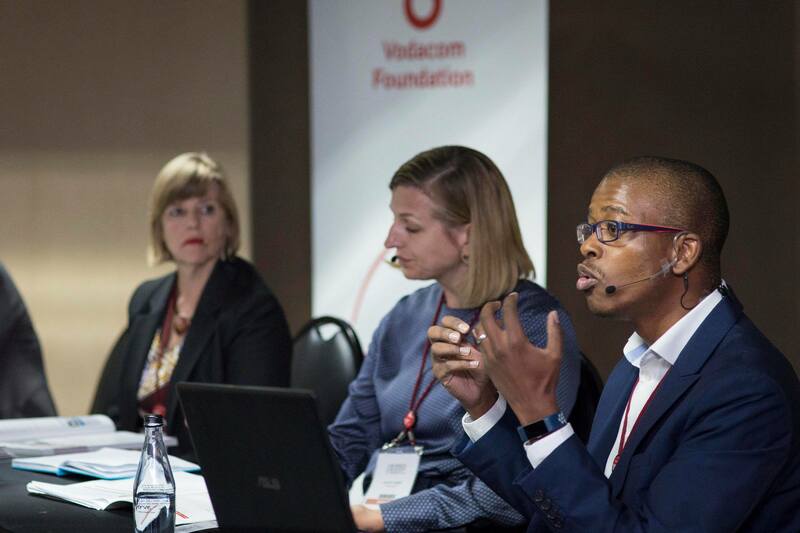 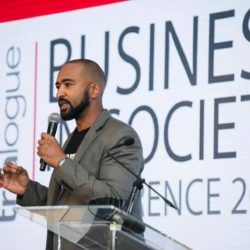 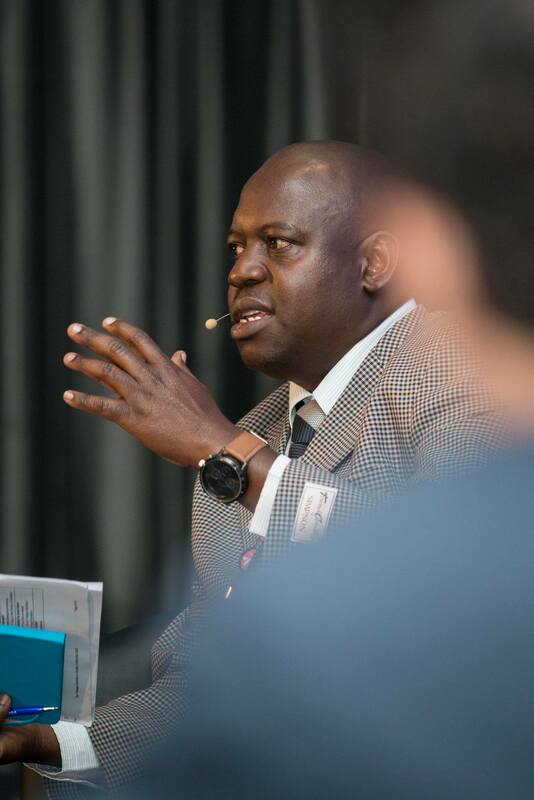 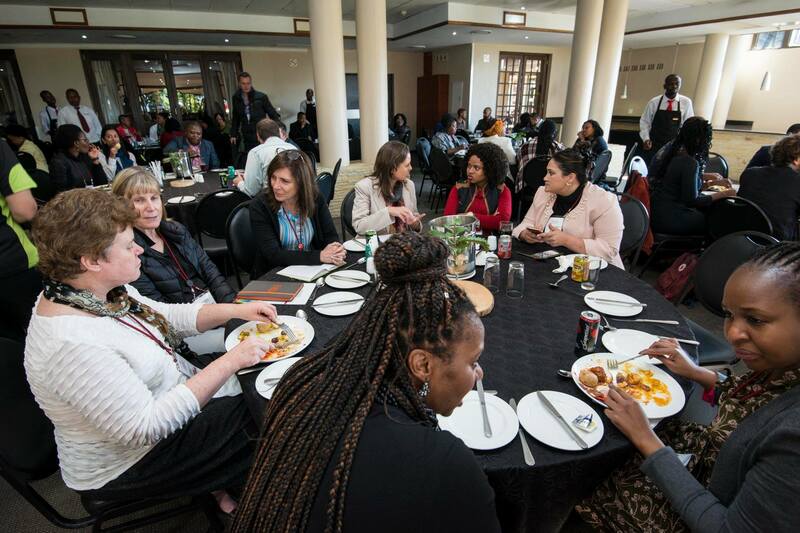 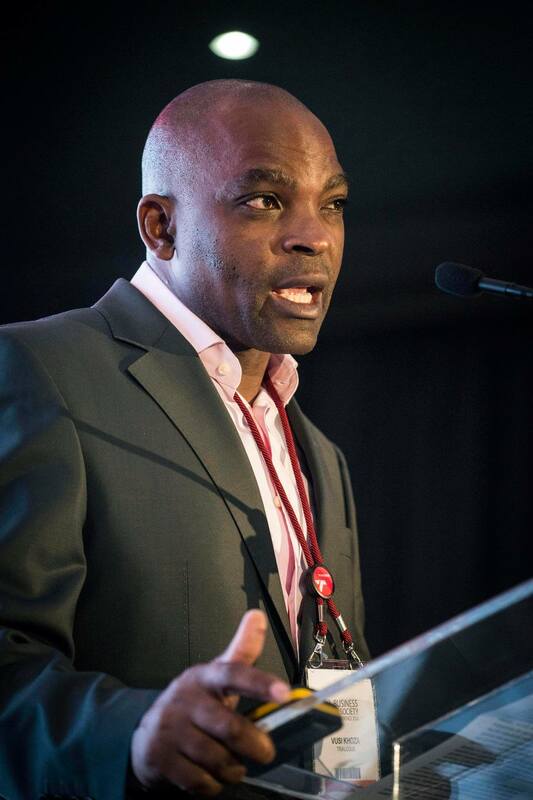 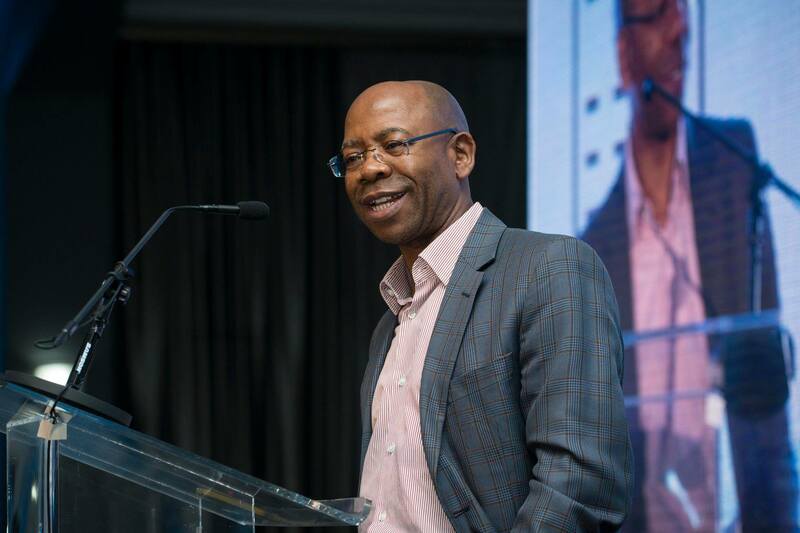 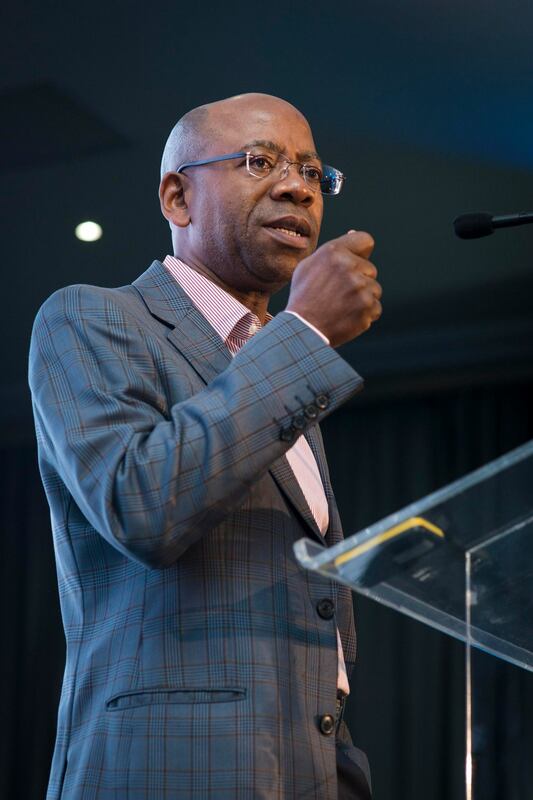 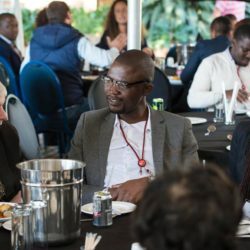 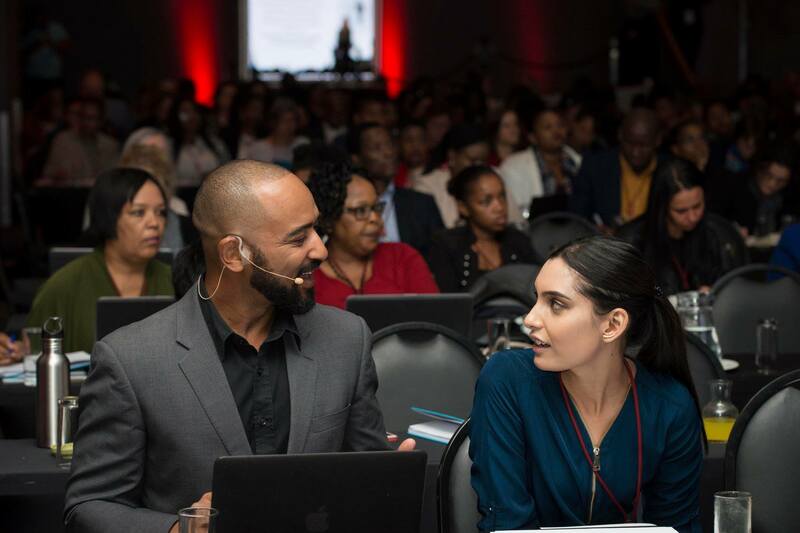 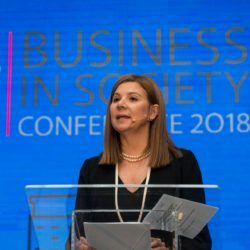 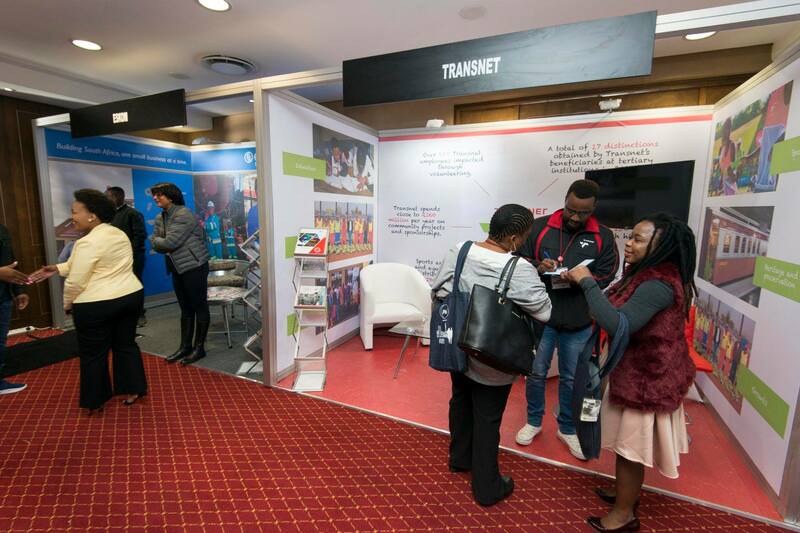 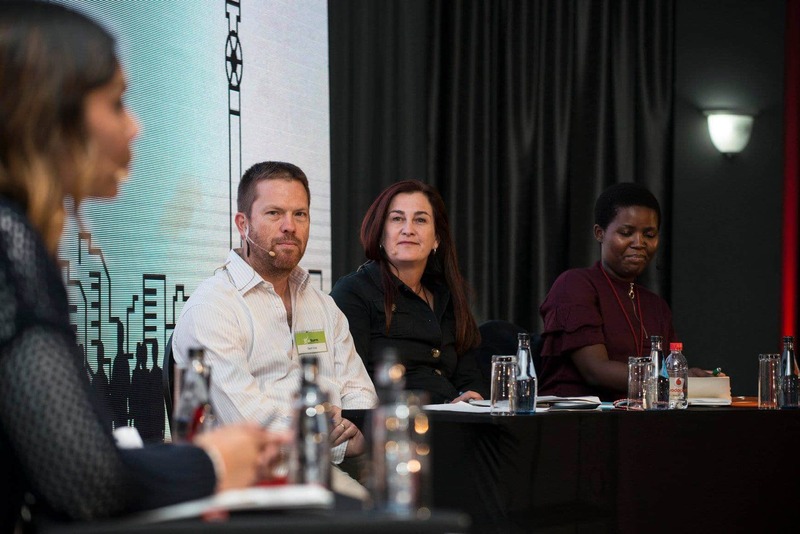 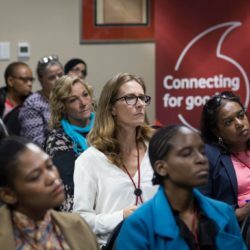 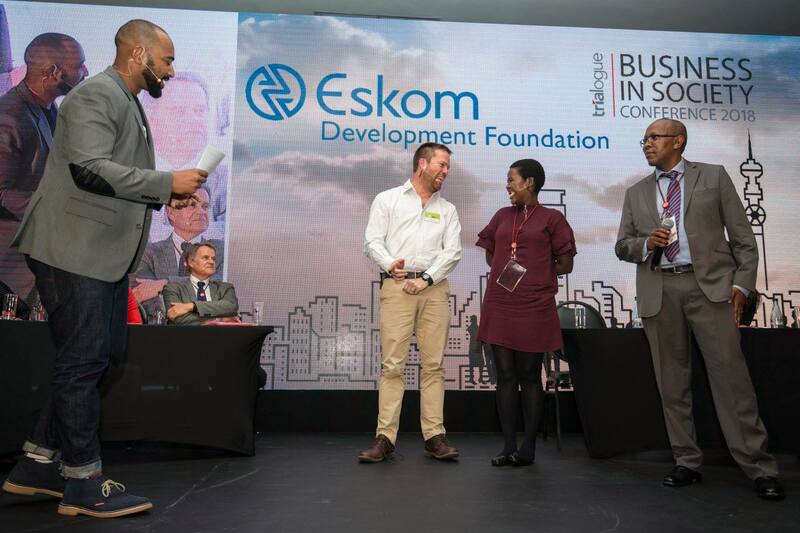 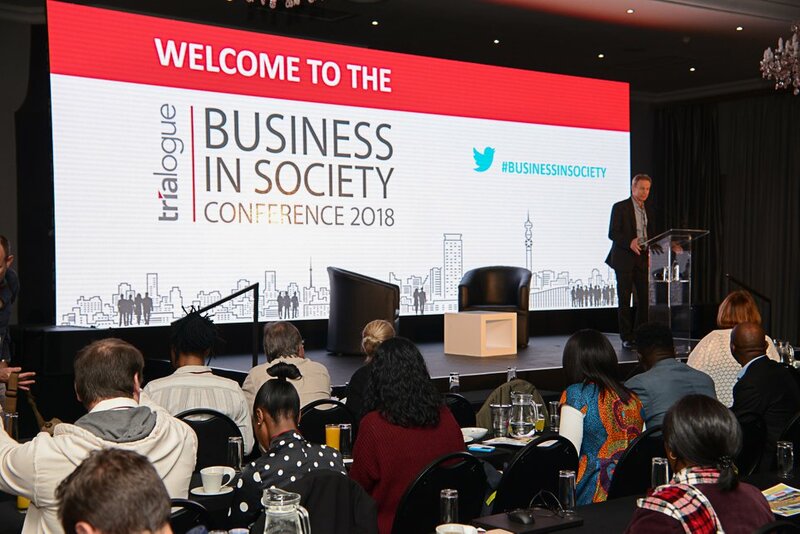 On 8 and 9 May 2018, more than 400 corporate, non-profit, government, academic and media delegates convened at The Wanderers Club in Johannesburg. 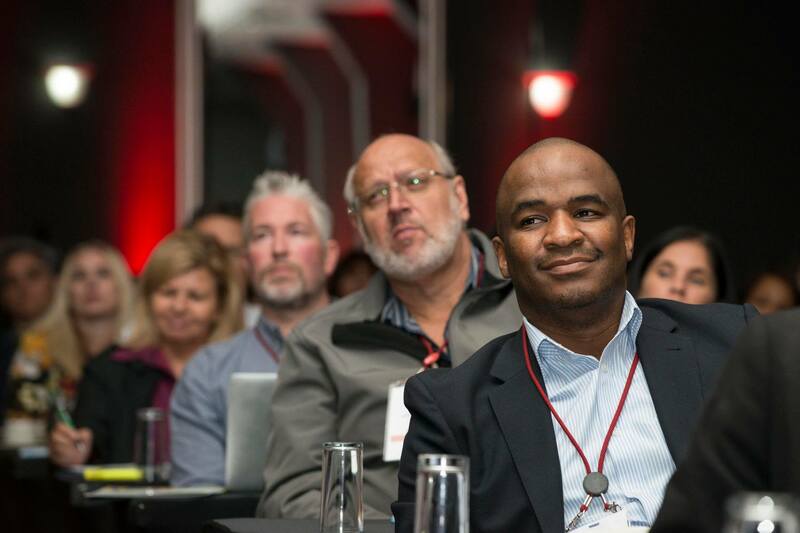 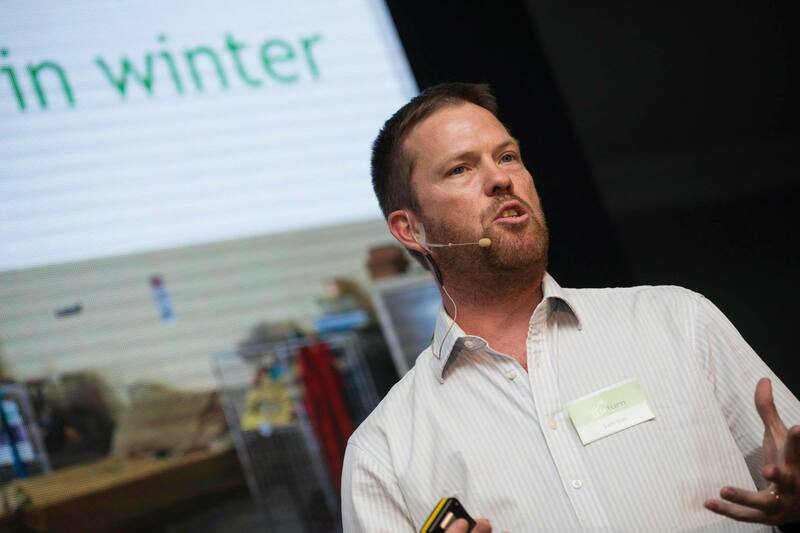 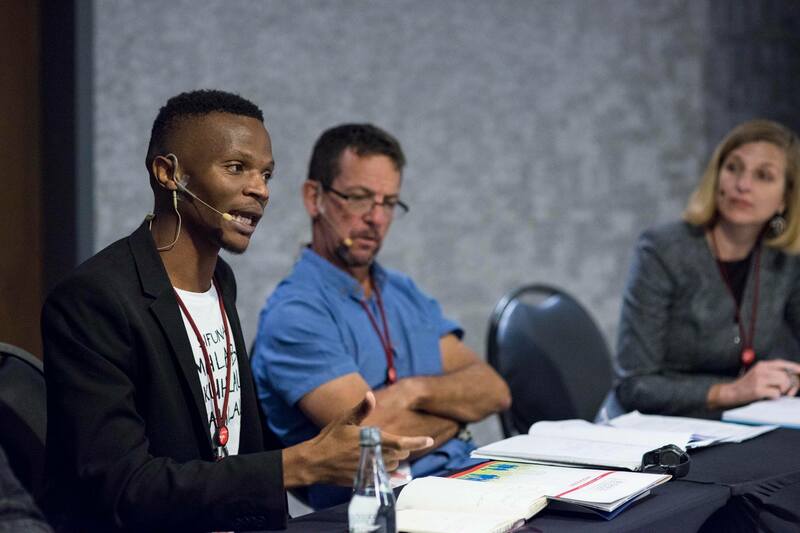 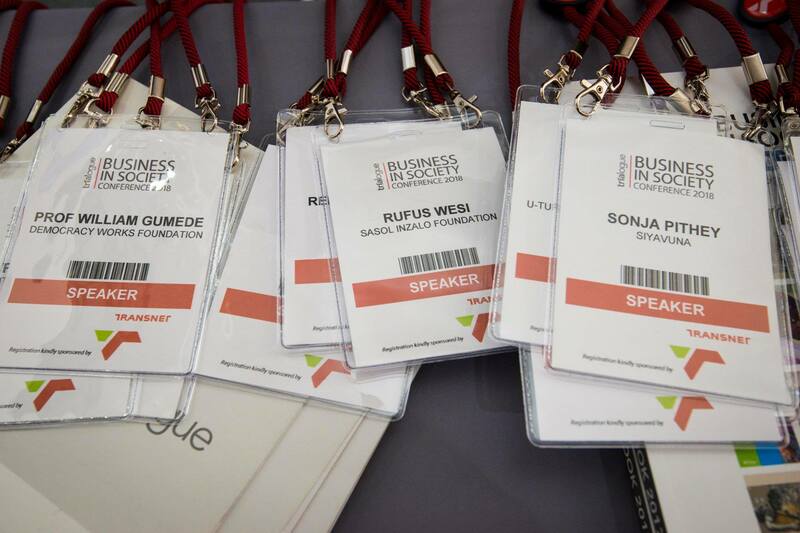 Click on the ‘Insights’ tab below for summaries of the conference sessions. 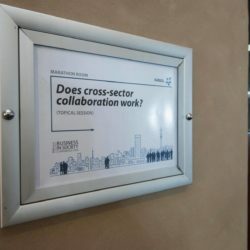 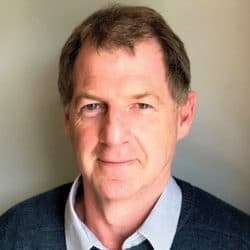 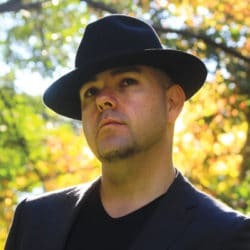 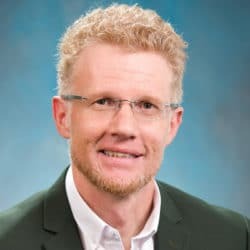 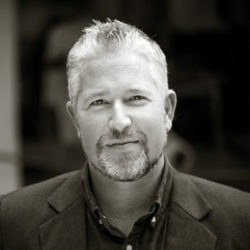 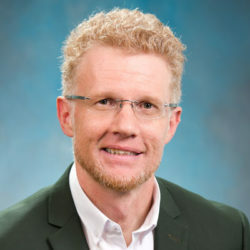 A growing number of companies are thinking about their CSI more strategically and questioning the long-term impact of their efforts. 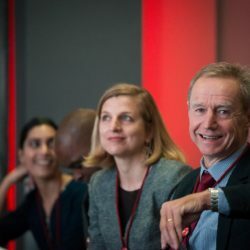 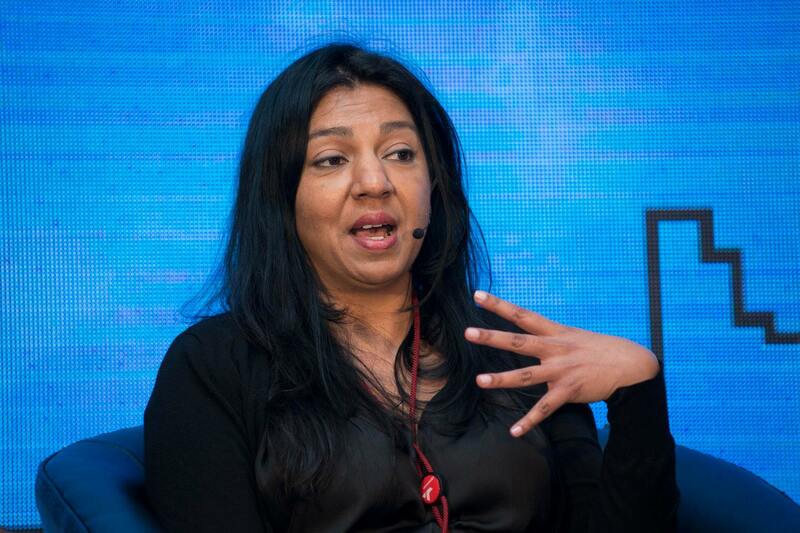 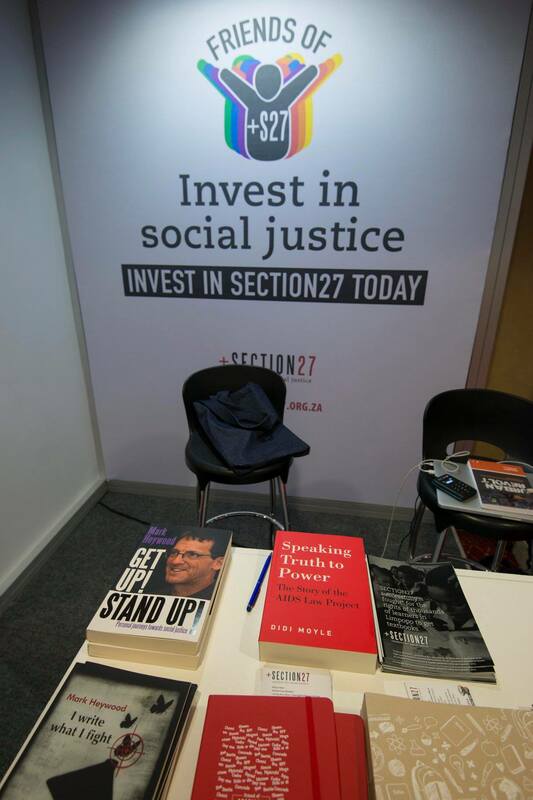 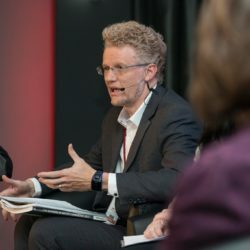 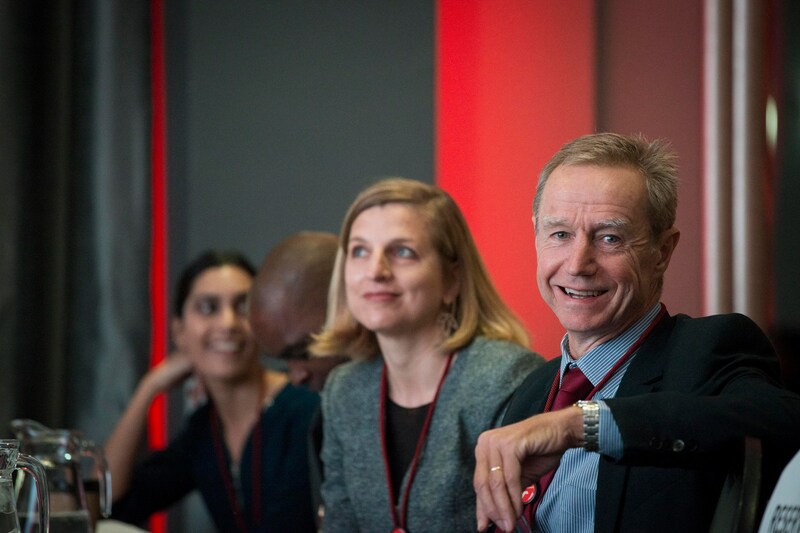 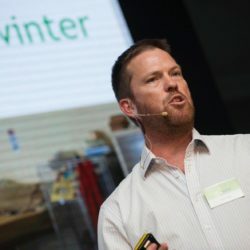 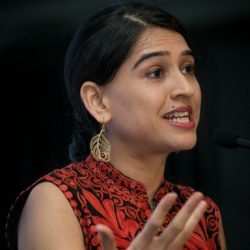 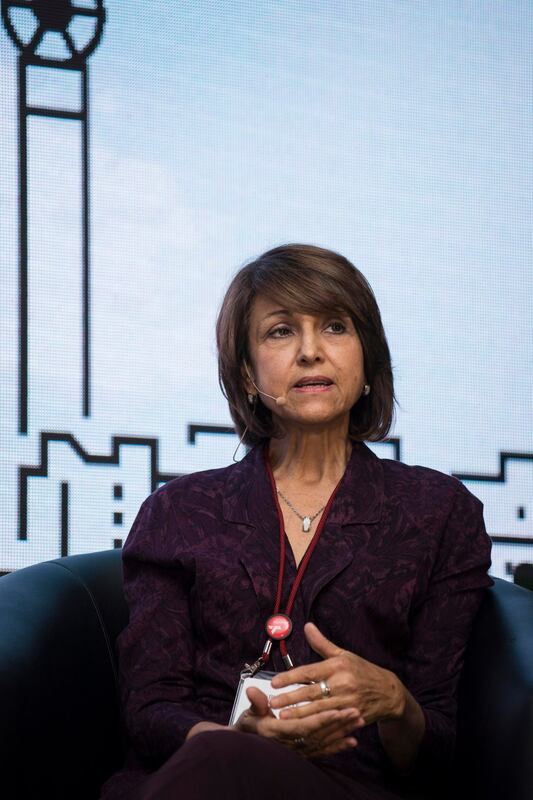 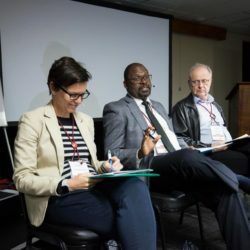 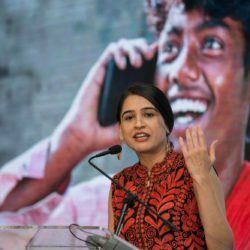 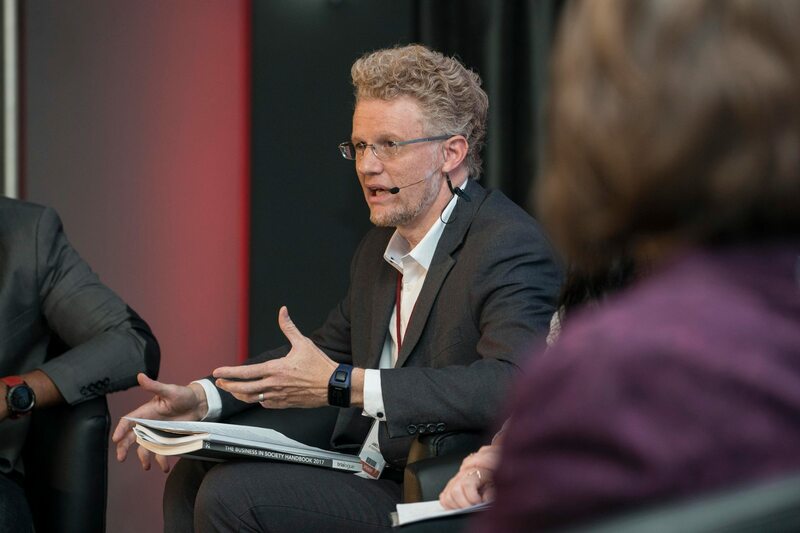 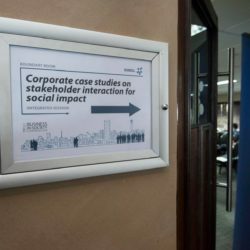 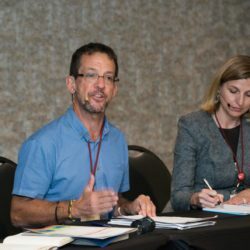 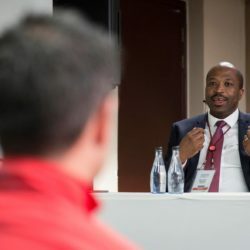 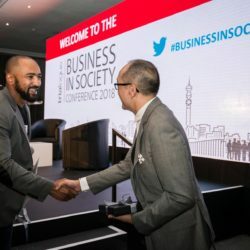 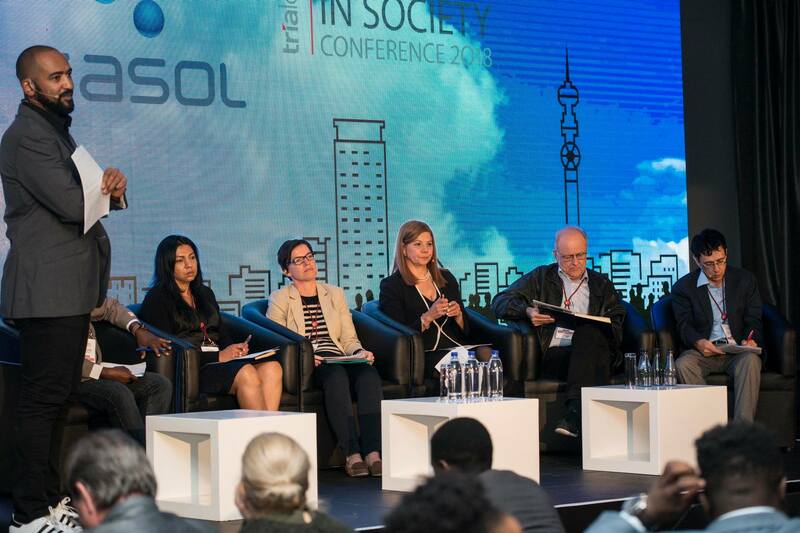 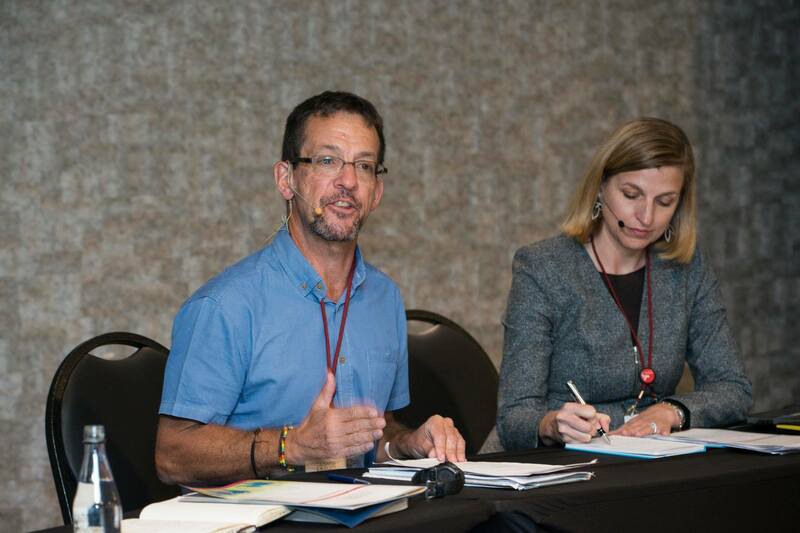 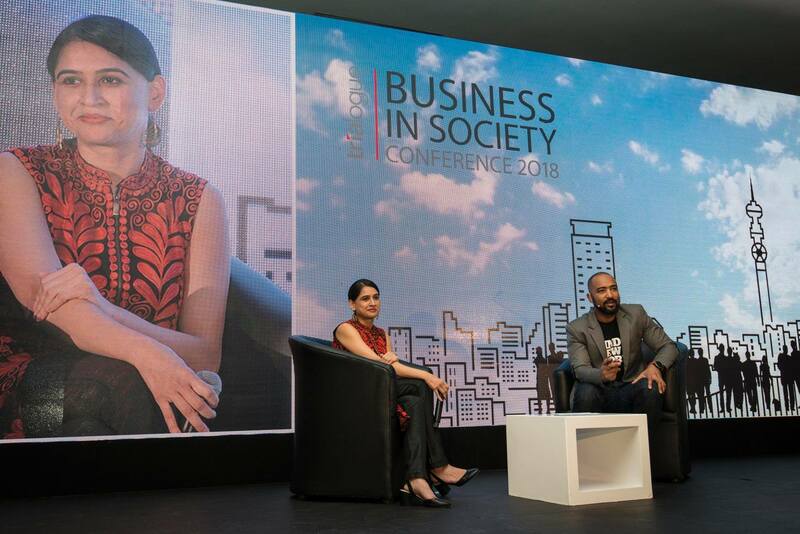 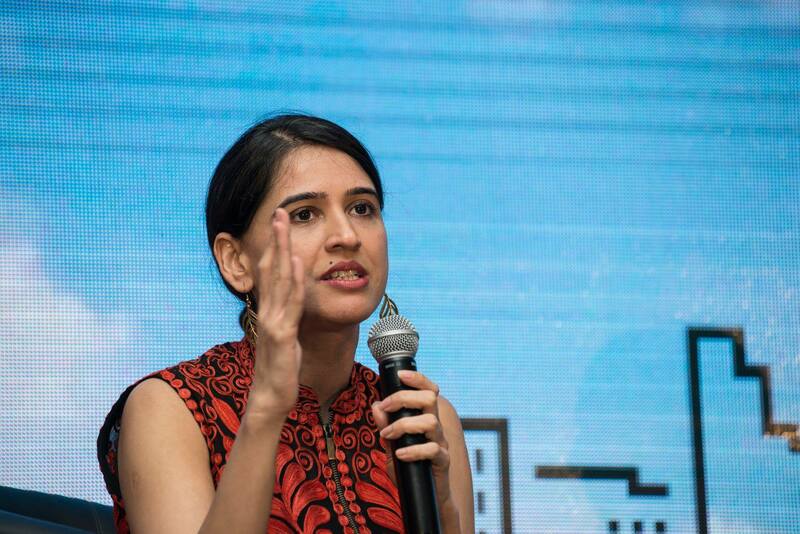 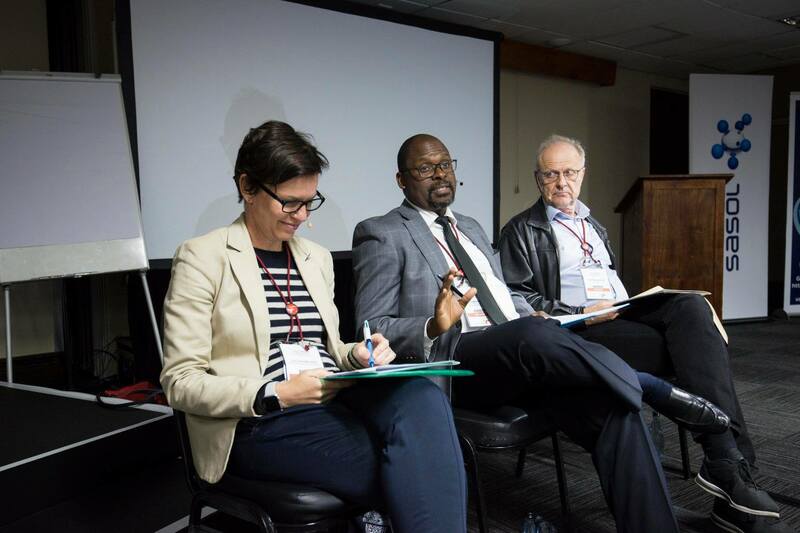 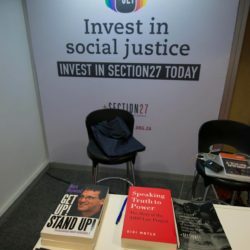 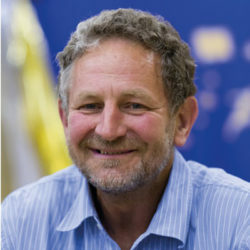 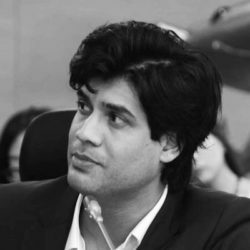 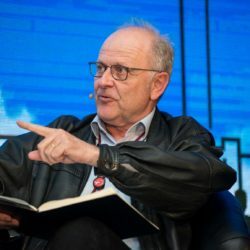 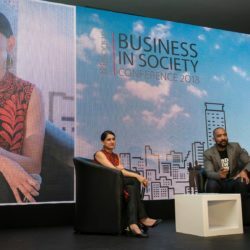 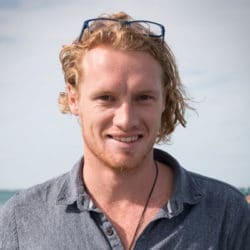 Conference sessions explored why companies should be compelled to help make the societies in which they operate more equitable and sustainable; some of the risks associated with supporting social justice work, and how these can be mitigated. 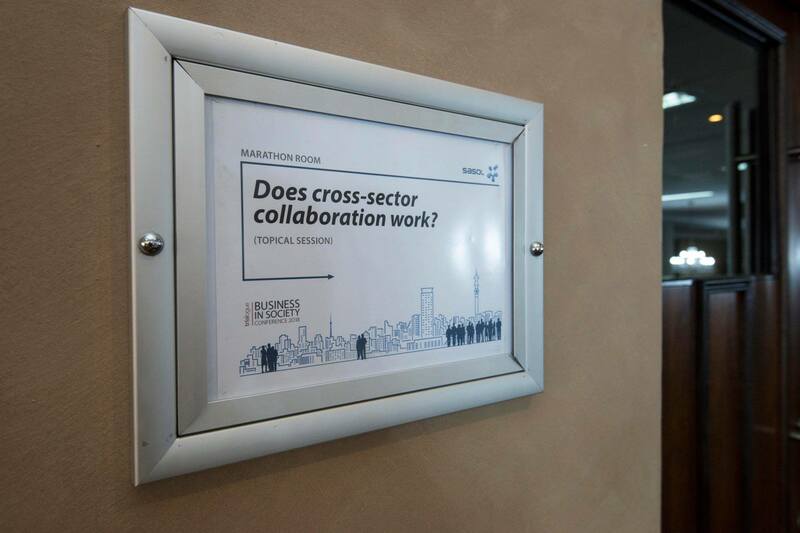 Drawing from two decades of research, Trialogue has identified stakeholder interaction as a key trend that will significantly shape the CSI sector, and responsible business more broadly, in the coming years. 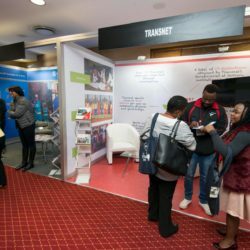 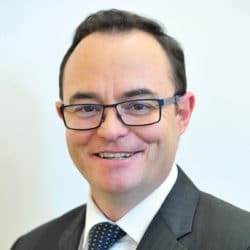 It is anticipated that companies will support ongoing and robust engagement with government, customers, staff, suppliers and investors. 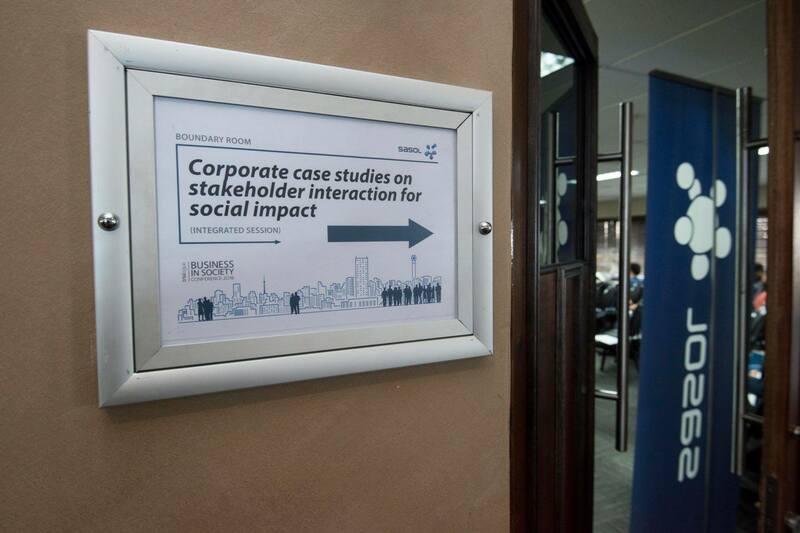 Conference sessions explored how companies can engage with various stakeholders to ensure developmental impact; how employee volunteerism can be equally beneficial for the participating company and society; whether cross-sector collaboration works, and approaches to effective relationship-building. 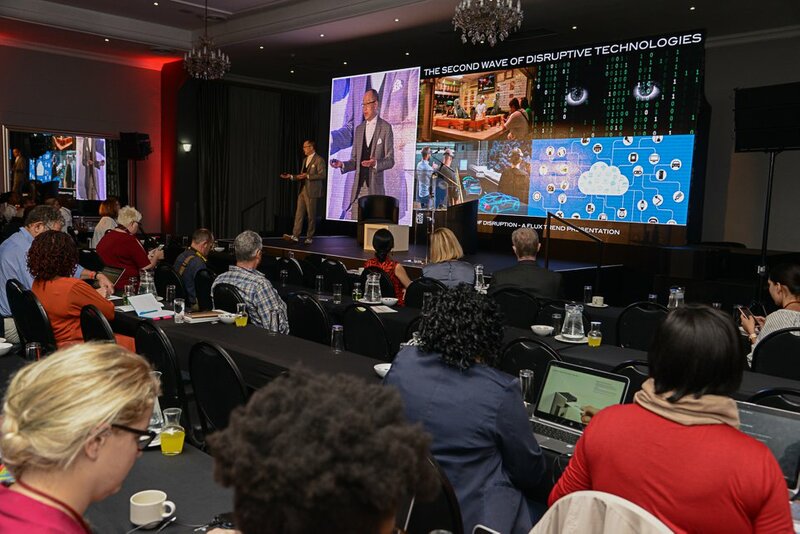 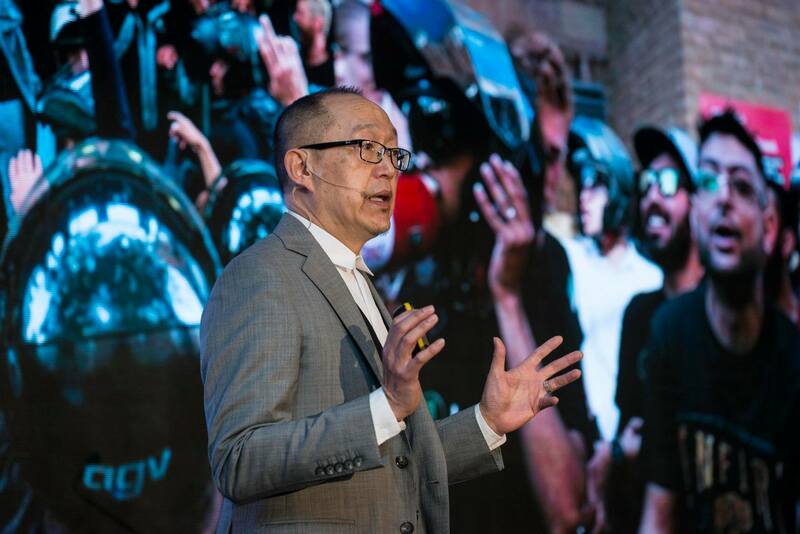 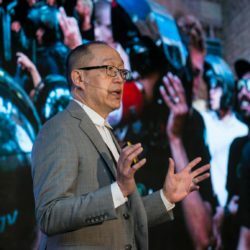 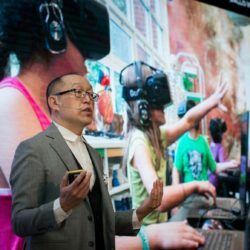 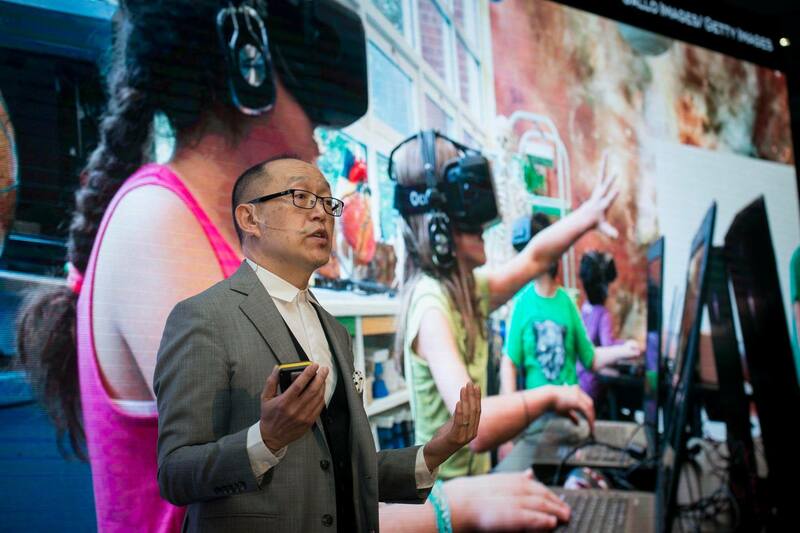 The Fourth Industrial Revolution, defined by disruptive and innovative technologies and trends, has the extraordinary potential to improve efficiency and our quality of life. 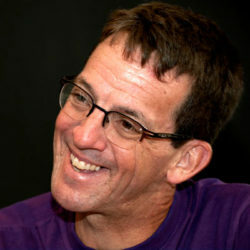 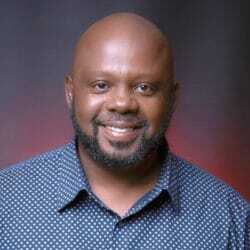 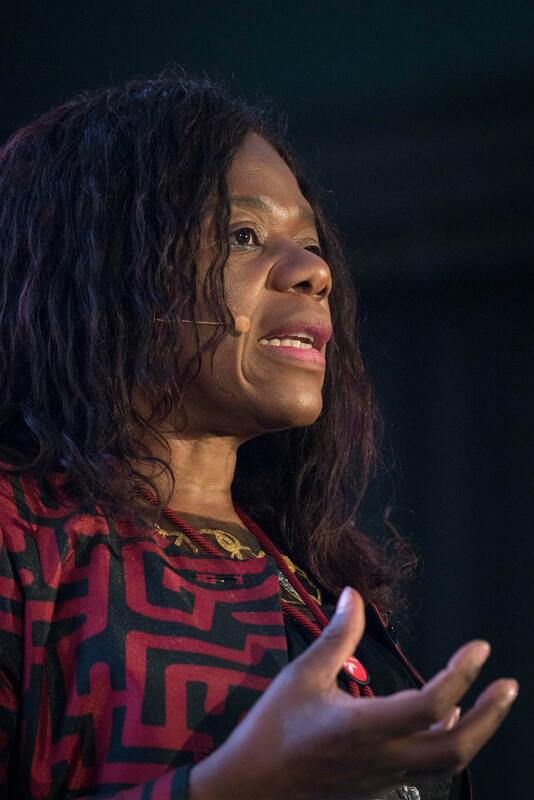 However, this new era also threatens to deepen global inequality. 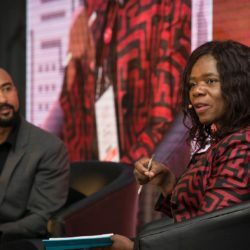 Conference sessions asked how companies can ensure that their technological advancements are human-centric and inclusive; what government should be doing to ensure that particularly the lower-skilled workforce is capacitated to cope with this disruption, and how non-profit organisations can leverage technology to enhance their developmental impact. 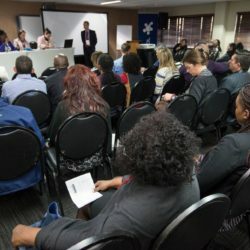 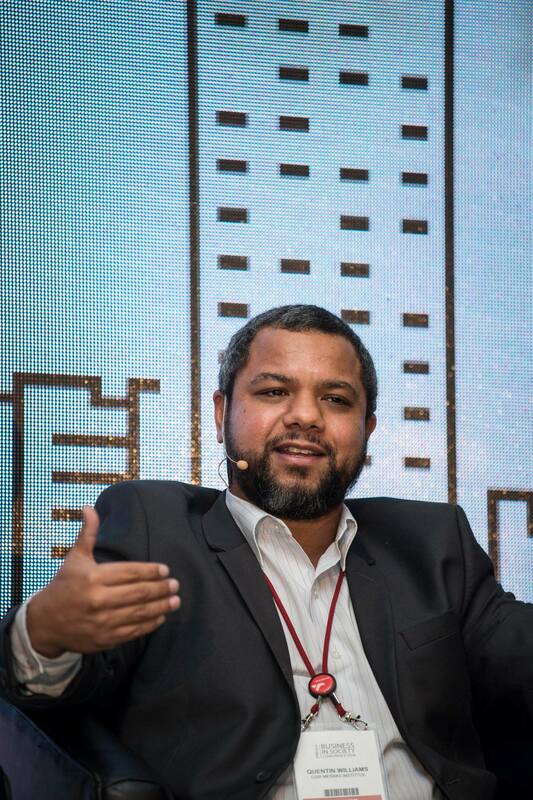 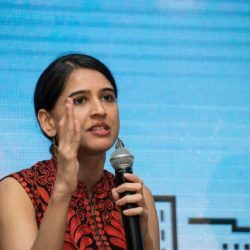 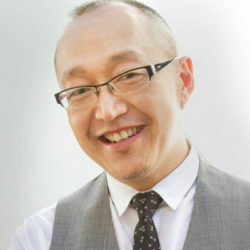 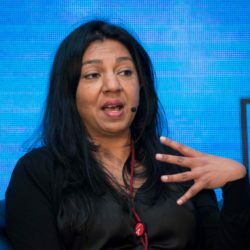 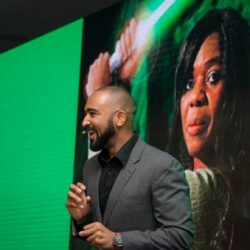 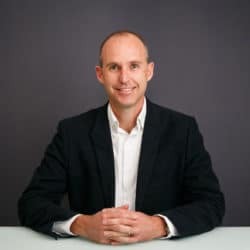 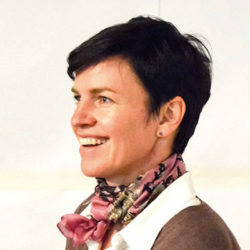 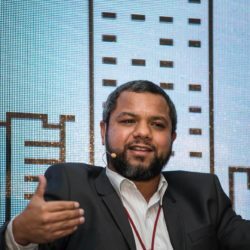 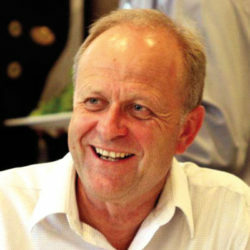 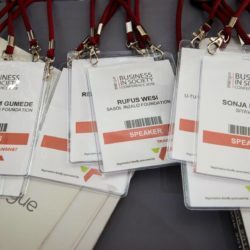 This interactive session, adapted from the international acclaimed Dragons’ Den series, featured three carefully-selected non-profit organisations who pitched their projects to a panel of corporate donors and received detailed feedback, empowering them with expert advice on how to hone their fundraising skills. 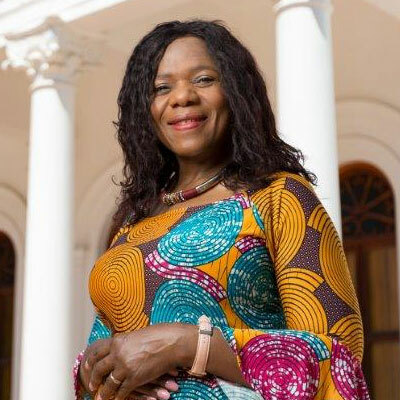 Thuli Madonsela is an Advocate of the High Court of South Africa and a lifelong activist on social justice, constitutionalism, human rights, good governance and the rule of law. 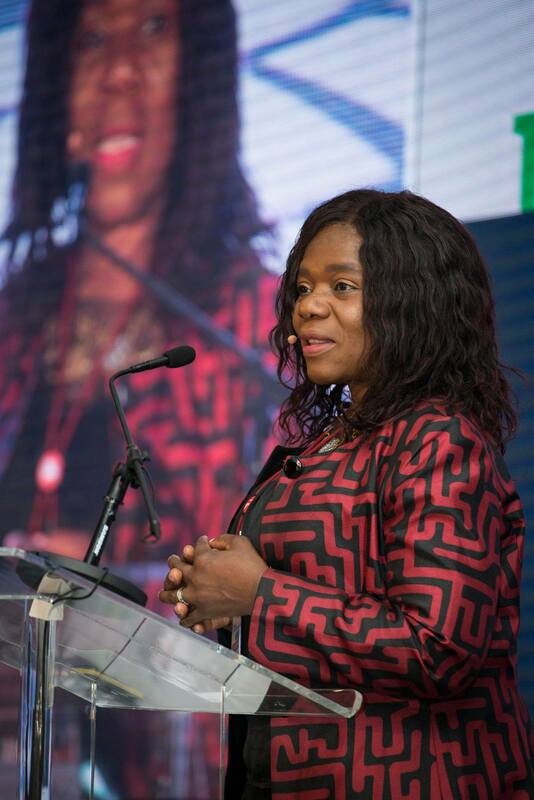 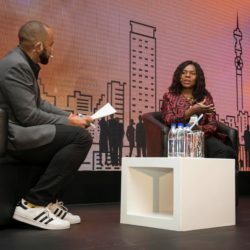 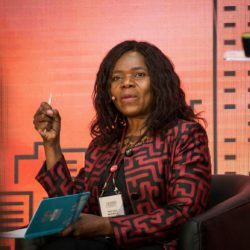 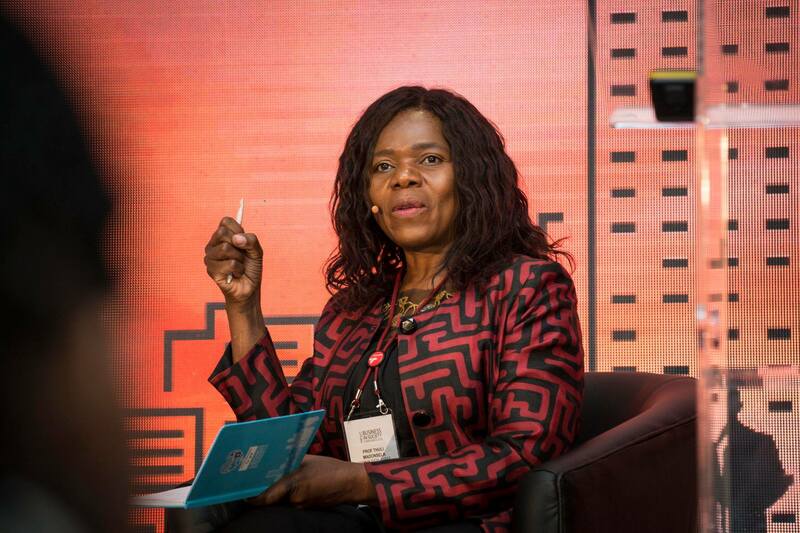 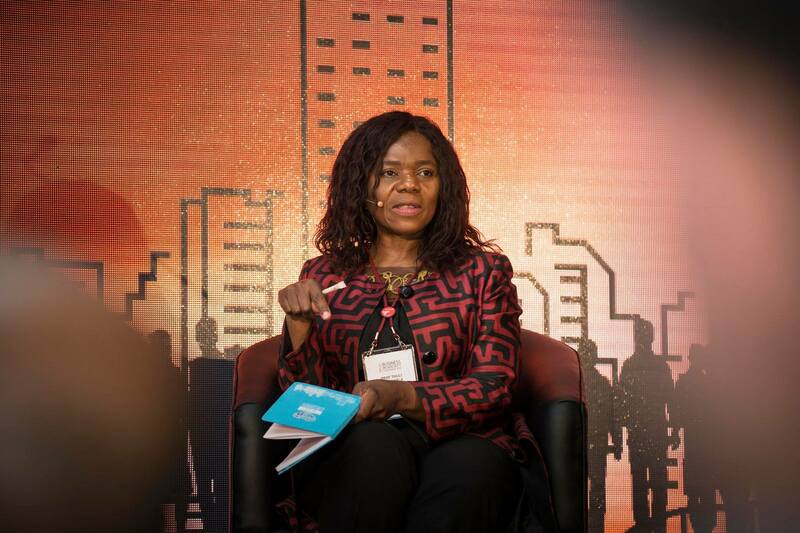 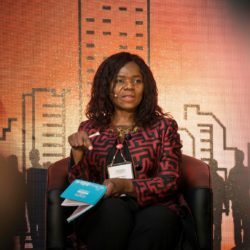 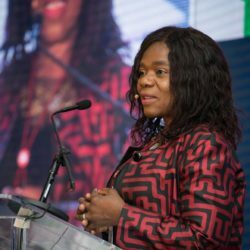 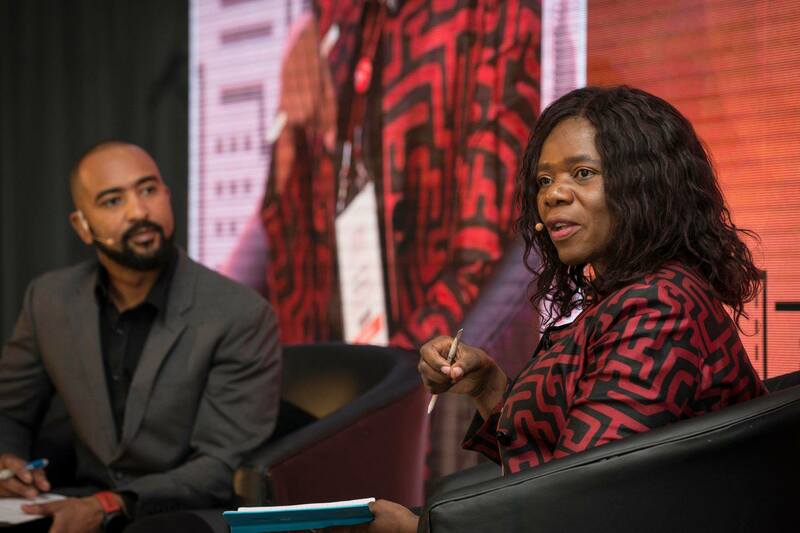 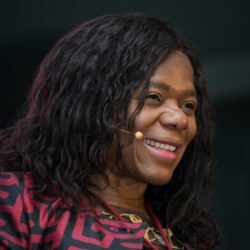 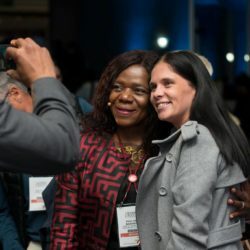 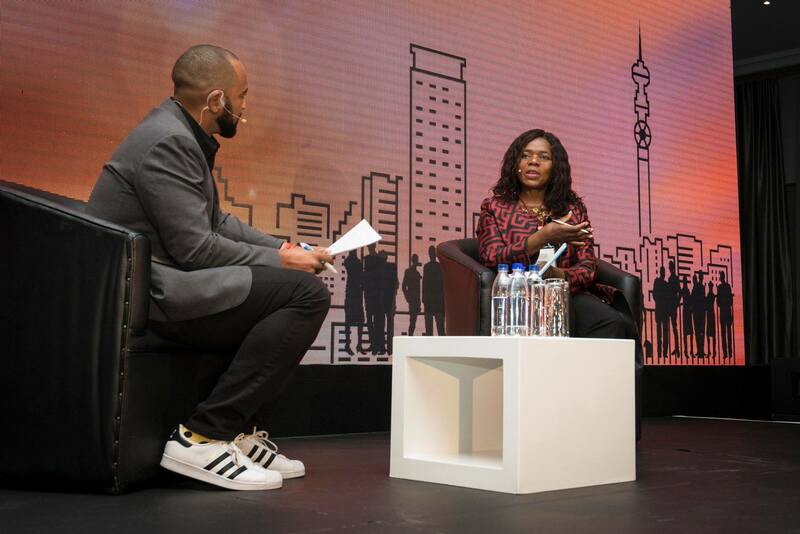 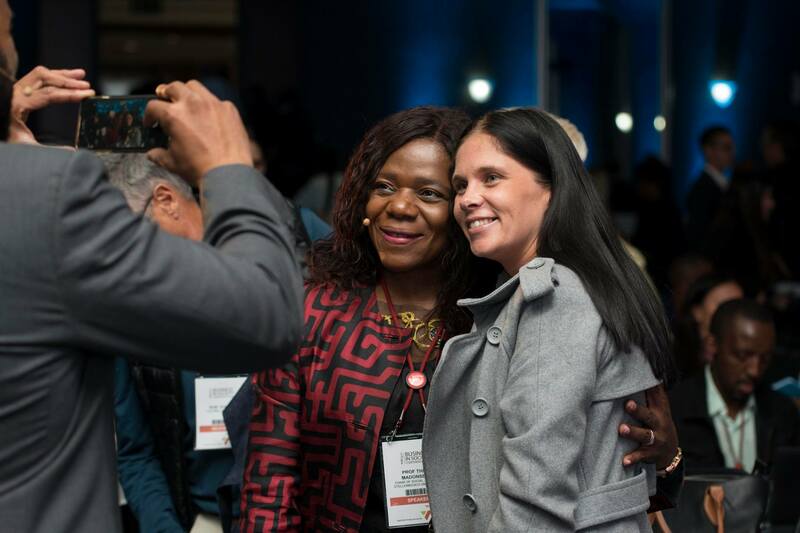 Named one of TIME100 influential people in 2014, and Forbes Africa Person of the Year 2016, Thuli Madonsela is one of the drafters of South Africa’s Constitution and co-architect of several laws that have sought to illuminate South Africa’s democracy. 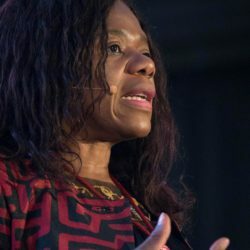 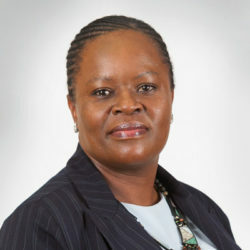 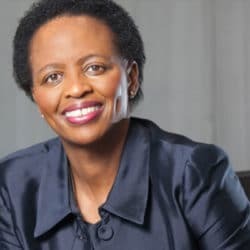 She was South Africa’s Public Protector for seven years and Founding Chairperson of the African Ombudsman Research Centre. 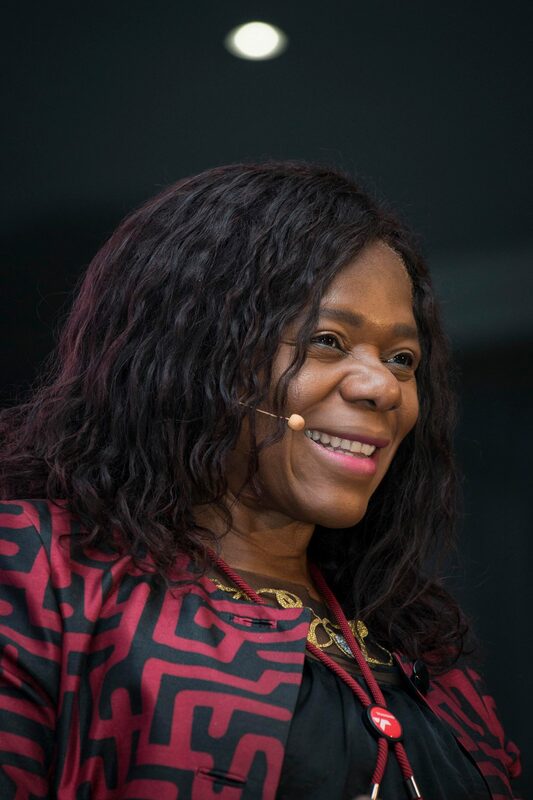 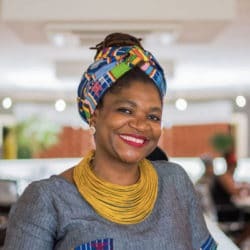 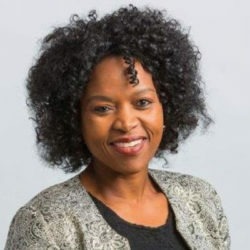 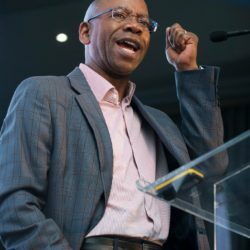 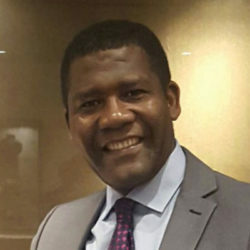 Currently resident at Harvard University as an Advanced Leadership Fellow, Thuli Madonsela accepted the Chair of Social Justice at Stellenbosch University with effect from January 2018. 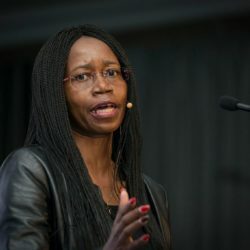 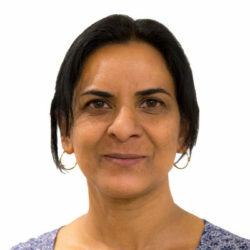 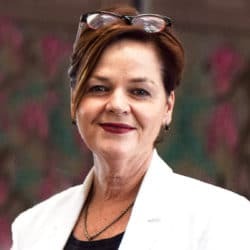 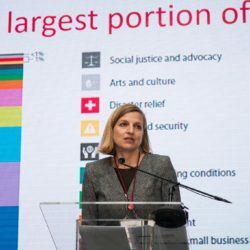 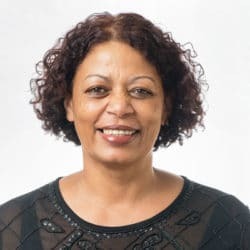 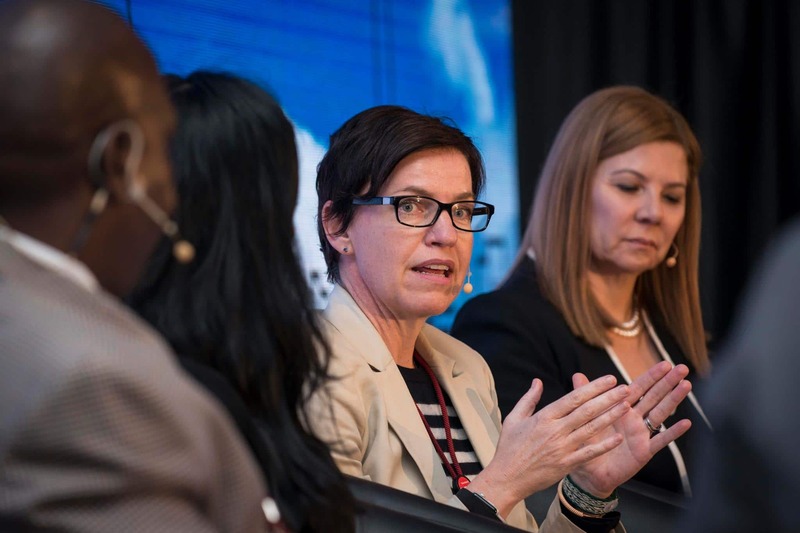 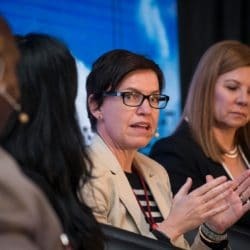 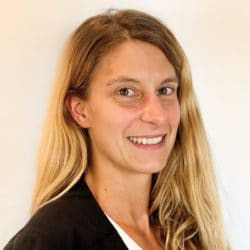 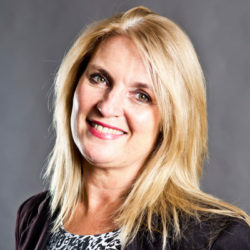 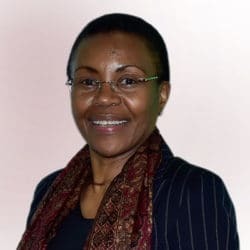 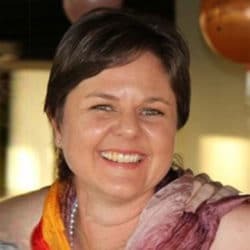 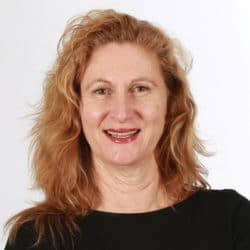 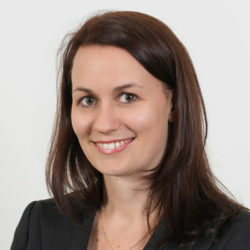 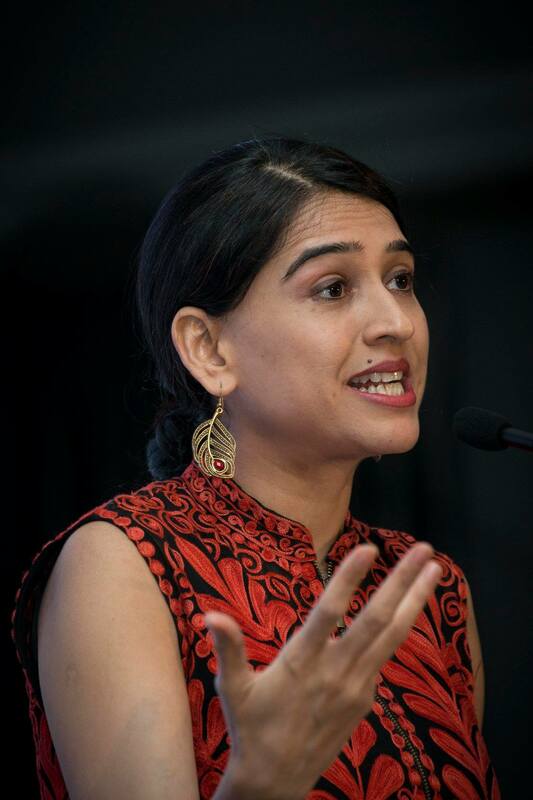 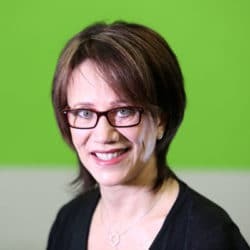 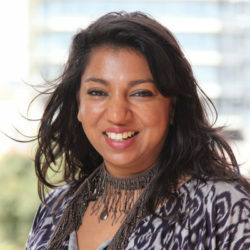 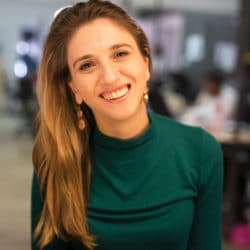 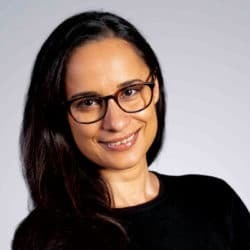 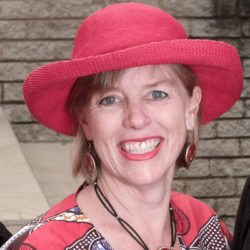 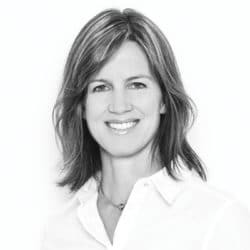 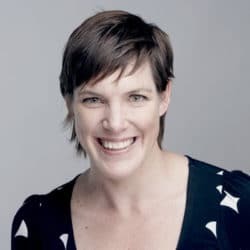 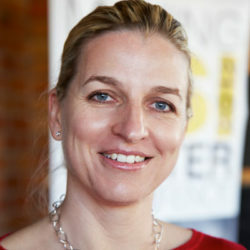 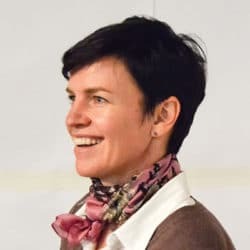 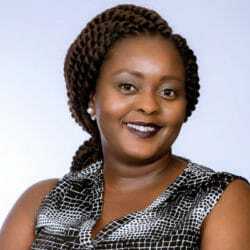 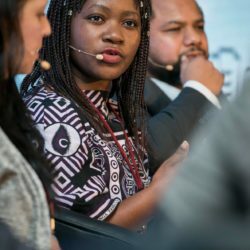 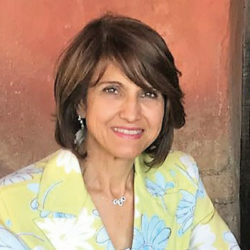 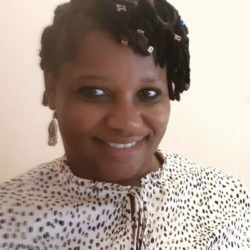 She is a Paul Harris Fellow, Tallberg Global Leader, and the recipient of Transparency International’s Integrity Award, the German Africa Prize and the Commonwealth Lawyers Truth and Justice Award, among her innumerable accolades. 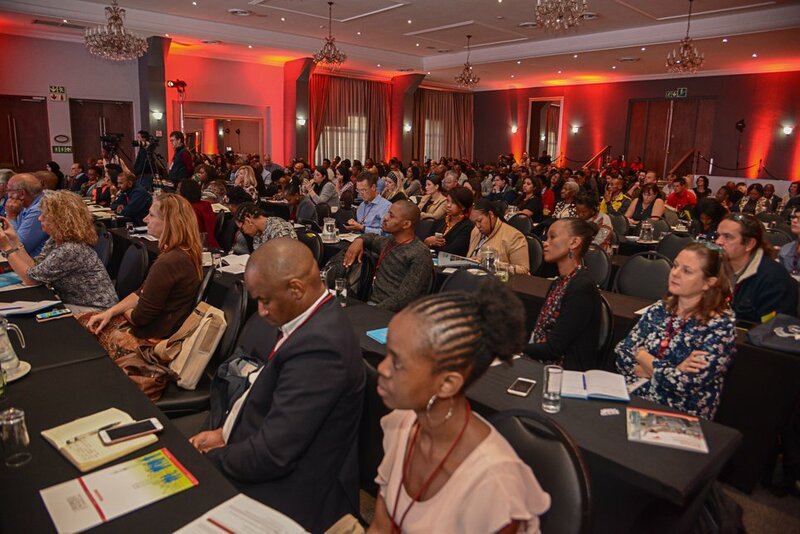 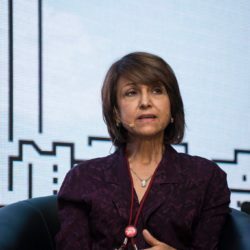 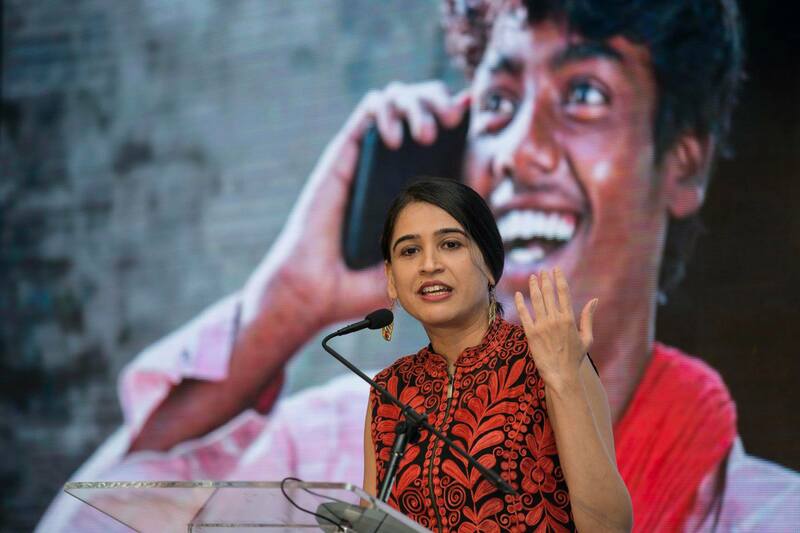 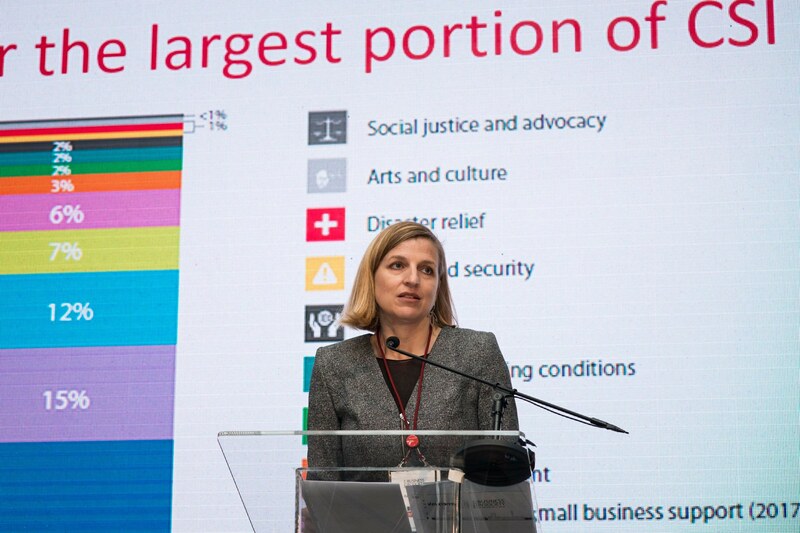 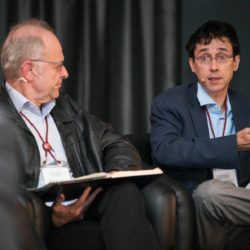 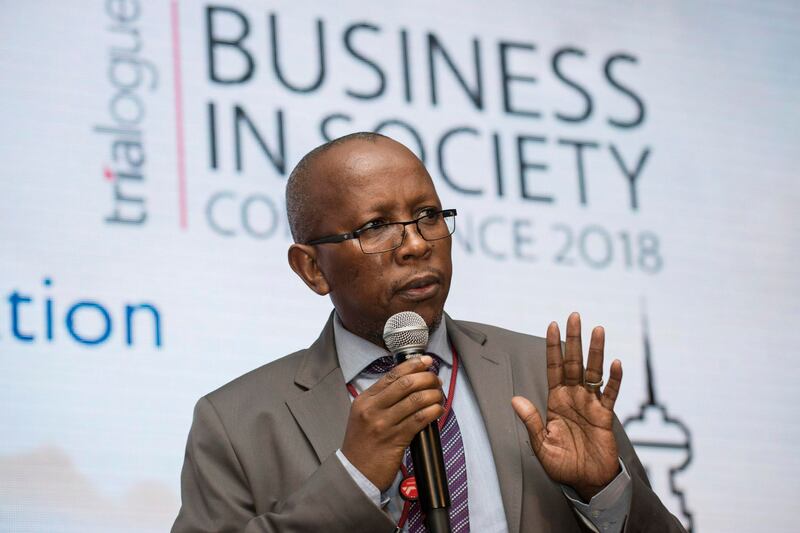 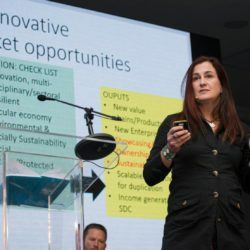 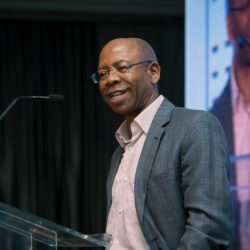 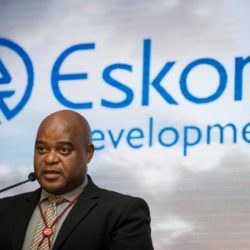 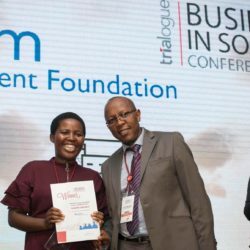 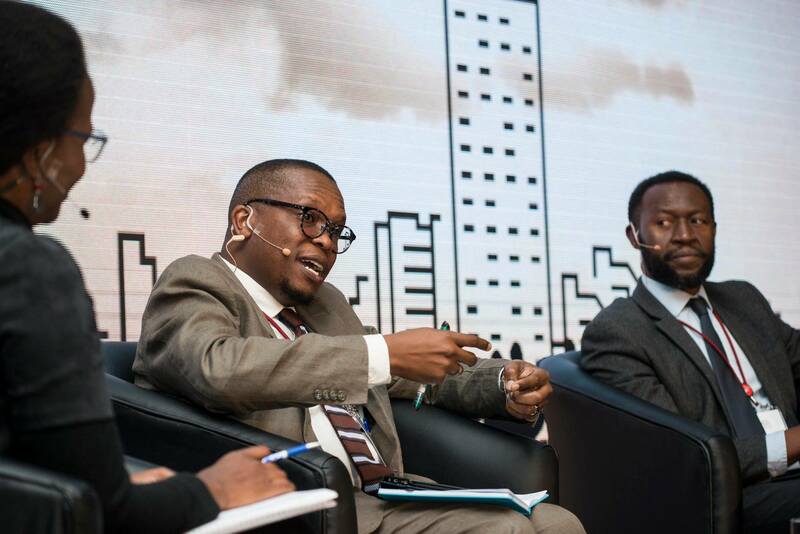 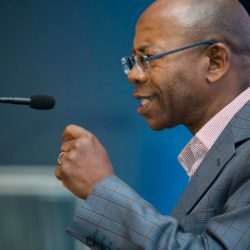 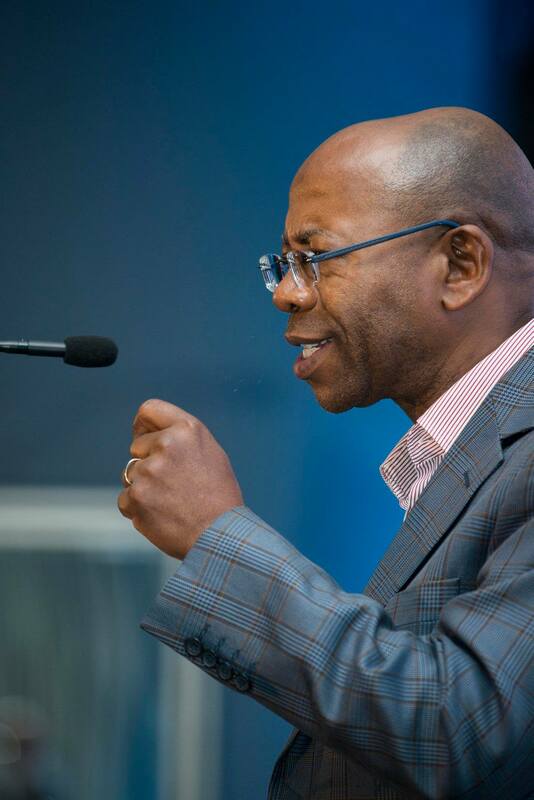 More than 400 delegates from the corporate, non-profit, government, academic and media sectors gathered to share lessons and ideas for more effective development. 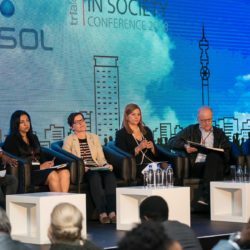 This panel discussion on why social justice is everyone’s business, explored why and how companies should help to make the societies in which they operate more equitable; some of the risks associated with supporting social justice work, and how these can be mitigated. 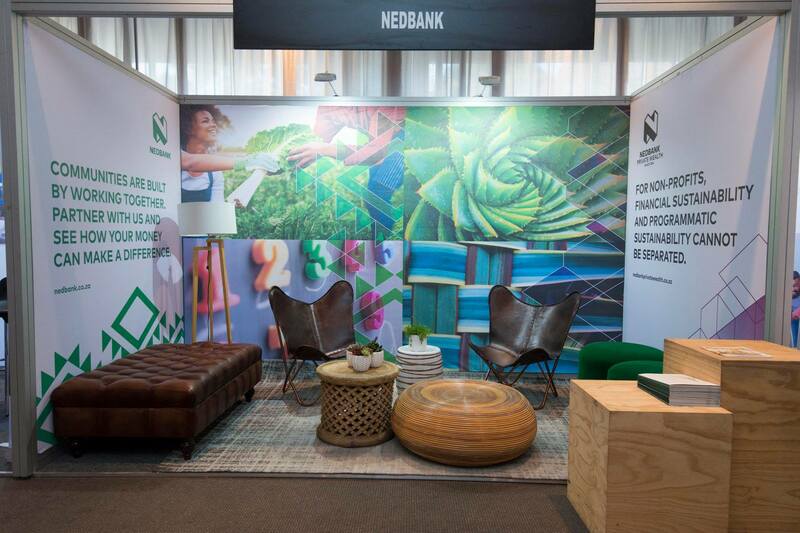 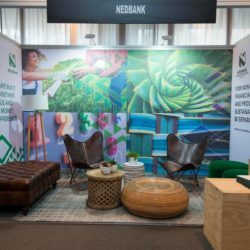 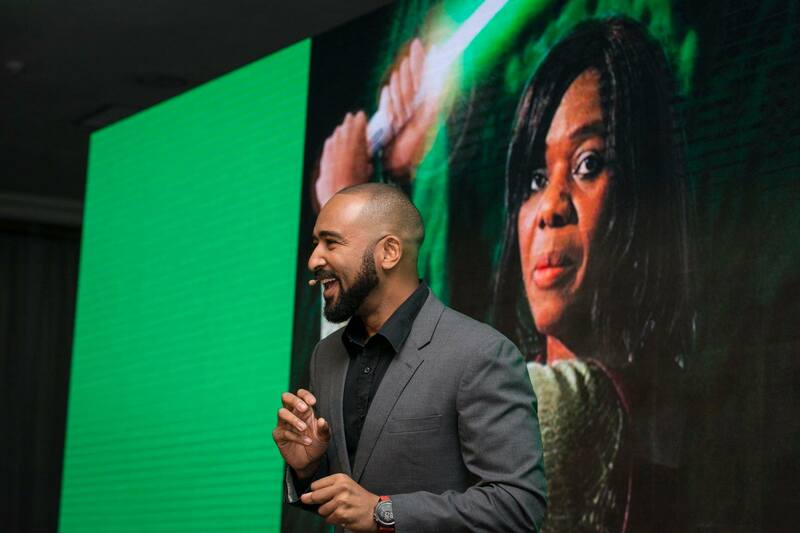 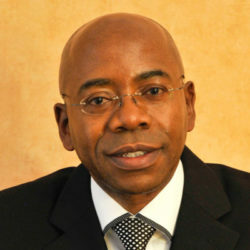 Presented in partnership with Nedbank. 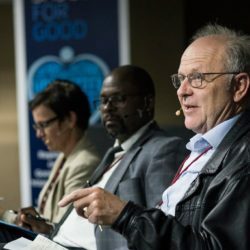 Collen Magner (Reos Partners South Africa), Godwin Khosa (National Education Collaboration Trust and Andrew Boraine (Western Cape Economic Development Partnership) discuss whether cross-sector collaboration works, the potential and nuances of cross-sector collaboration, and how to overcome conflict and tension, for greater good. 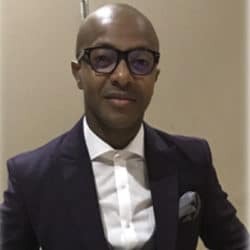 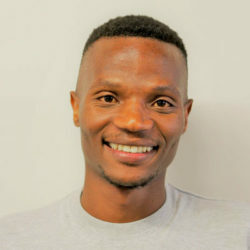 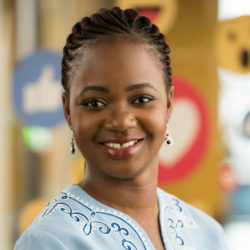 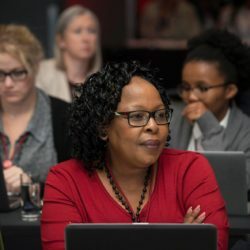 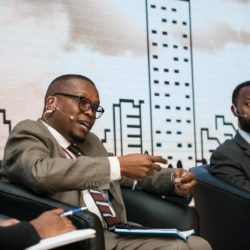 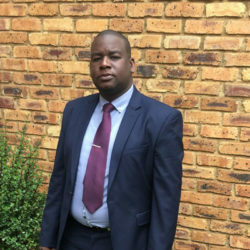 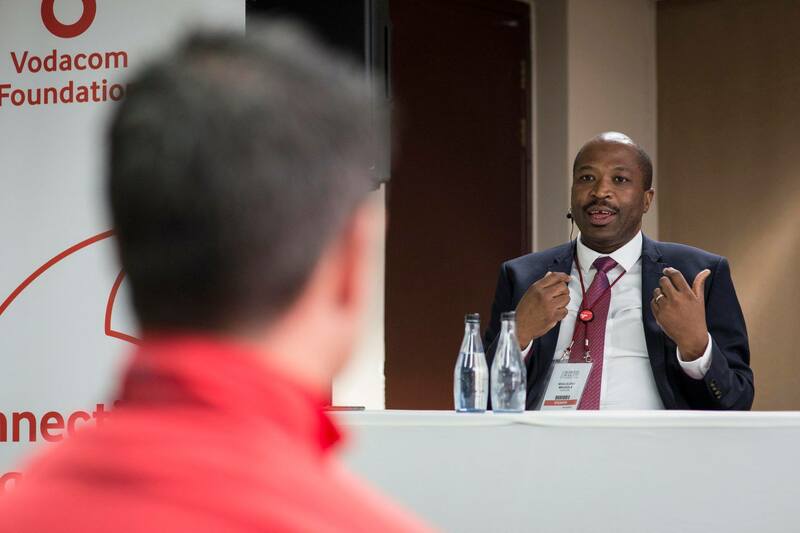 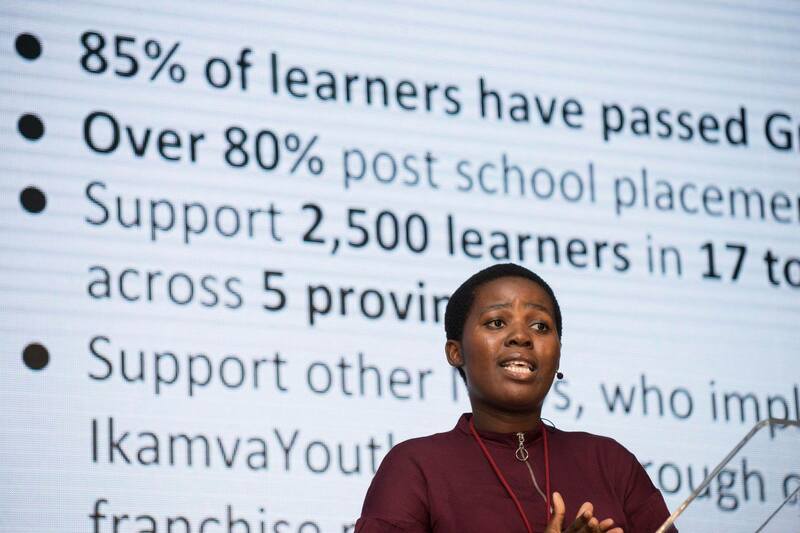 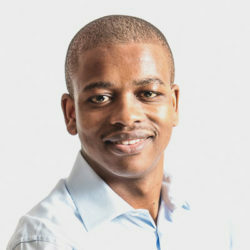 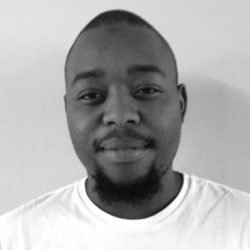 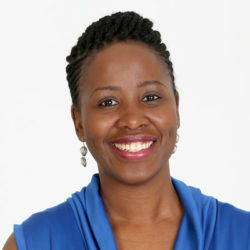 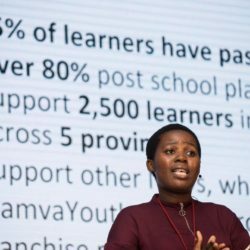 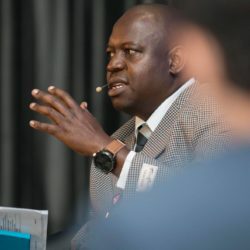 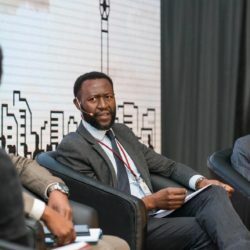 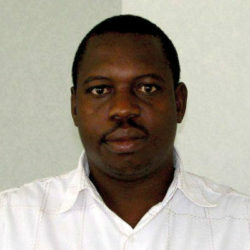 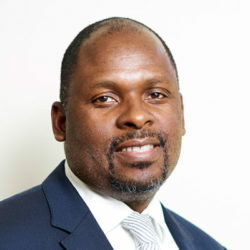 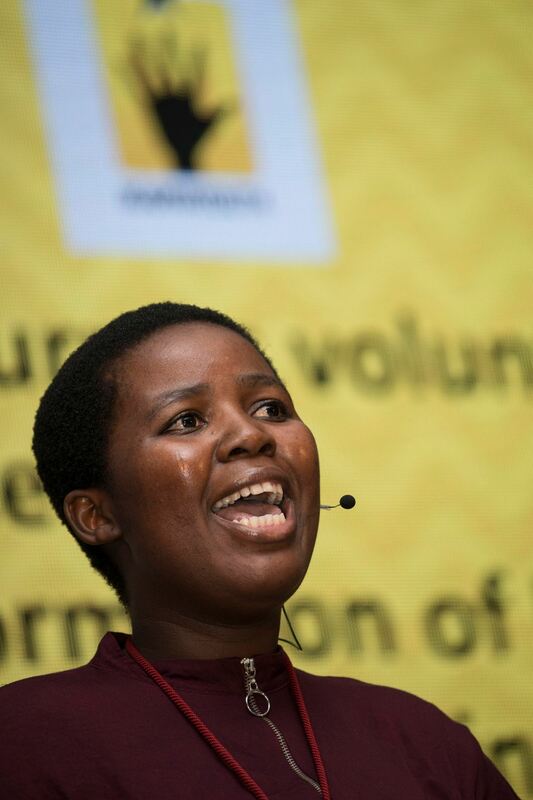 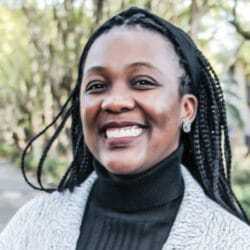 Ayanda Mtanyana, head of advisory services at New Leaders Foundation, presenting on the innovative Data Driven Districts project, which aims to improve learner outcomes by improving the way key educational data is collected and used by officials in the education system to support schools and teachers more effectively. 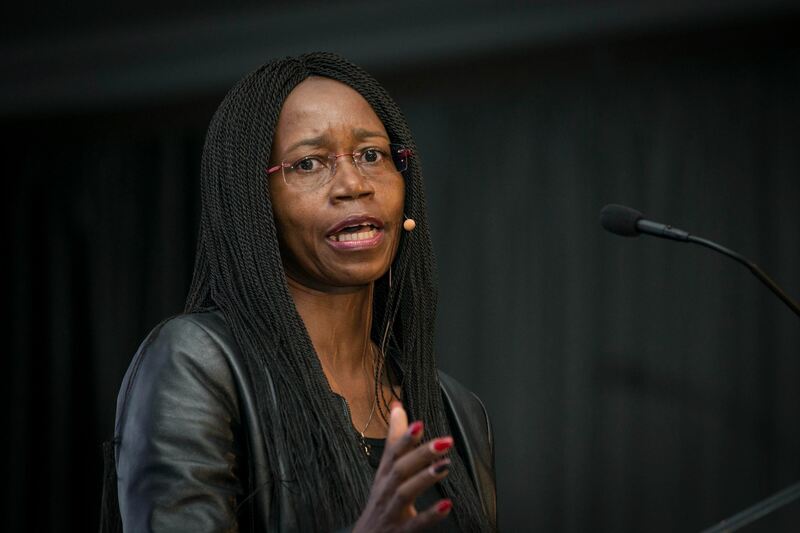 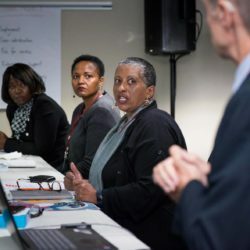 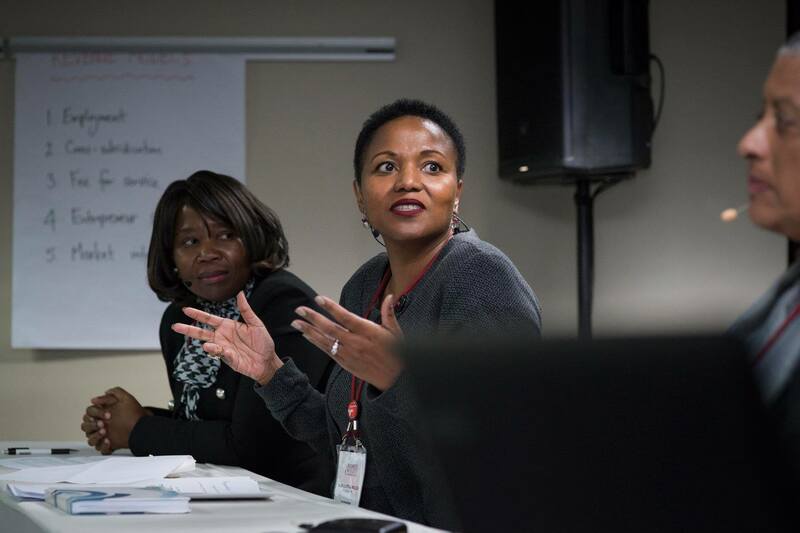 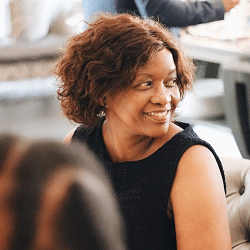 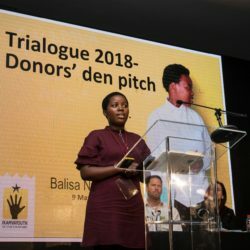 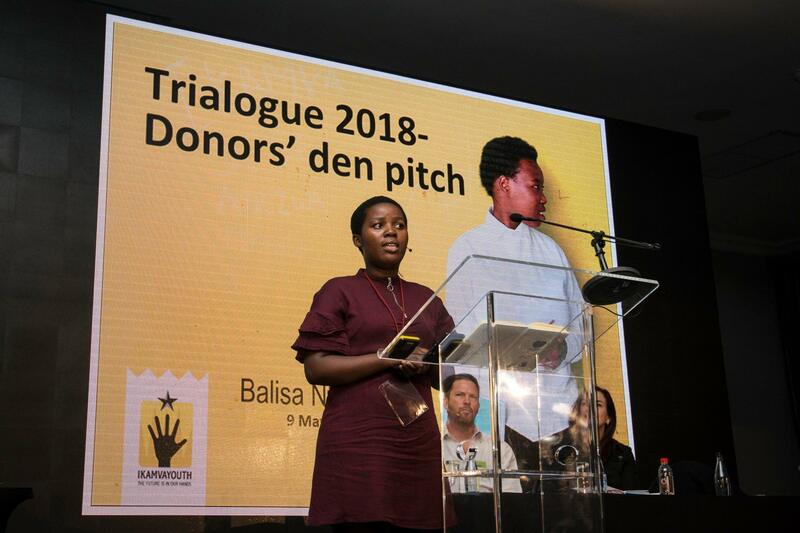 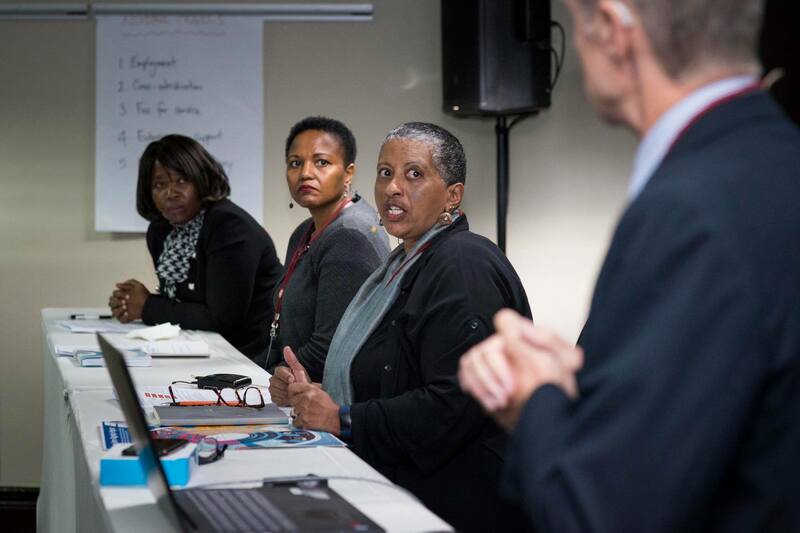 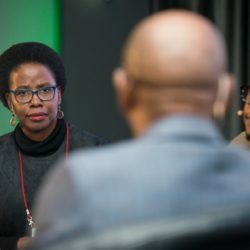 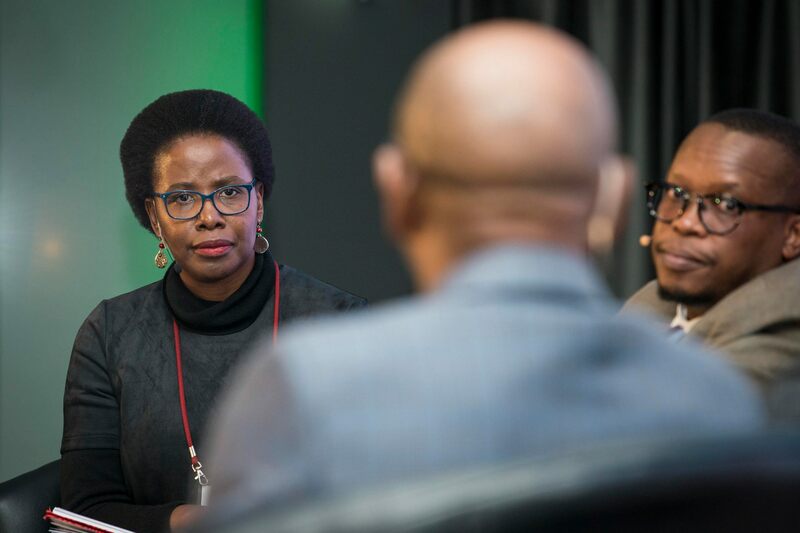 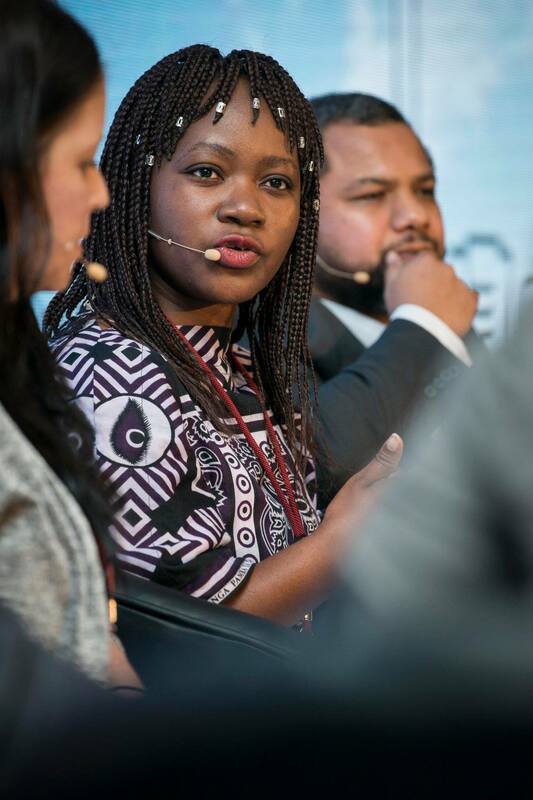 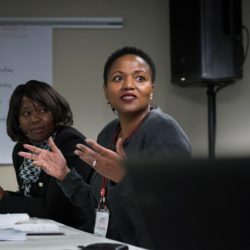 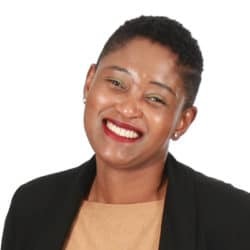 Millicent Maroga, head of the Old Mutual Foundation, offered Donors’ Den participants useful feedback about how to hone their fundraising pitches. 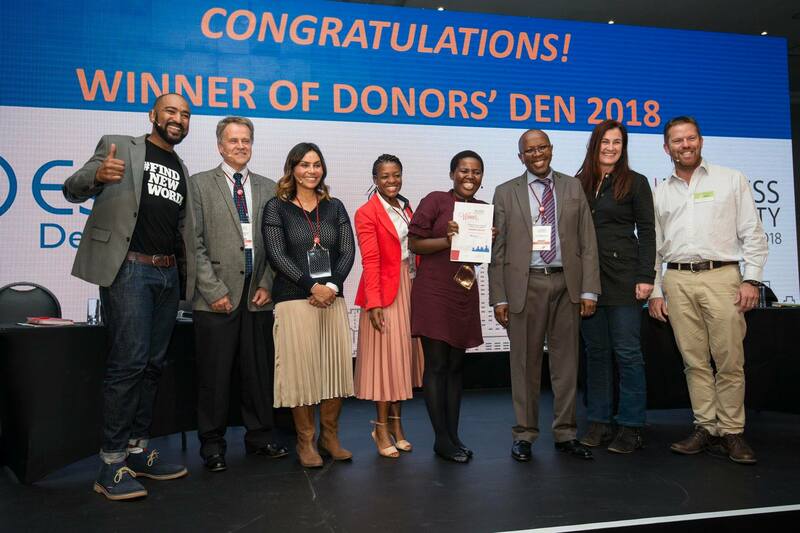 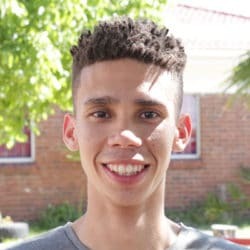 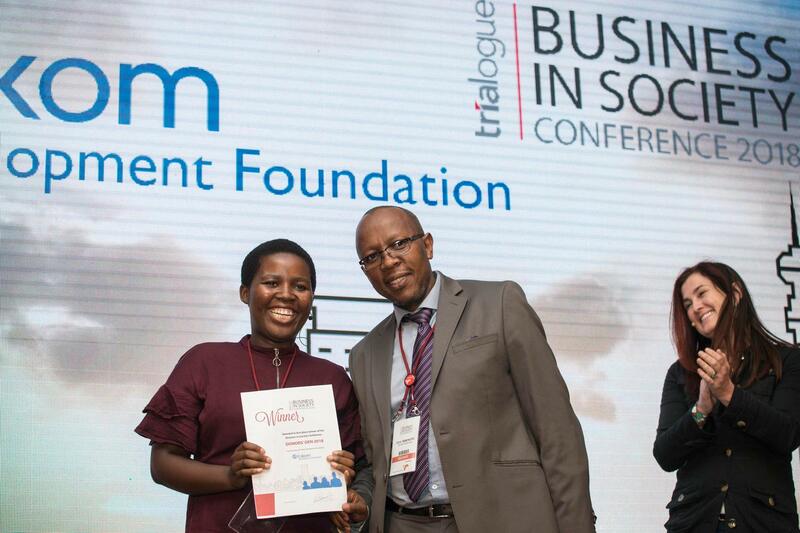 And first place goes to… IkamvaYouth SA!